Please find below a selection of images from the day. 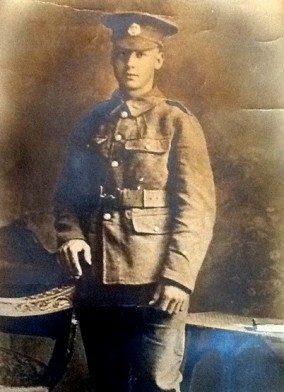 The photographs of the two soldiers are provided by the families and are reproduced with their kind permission. 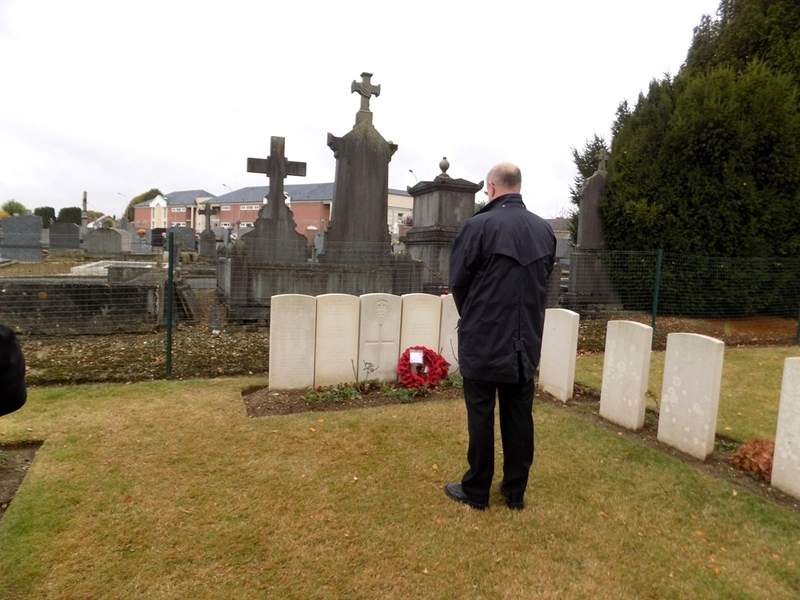 Later that day we visited the French Cemetery at Albert to lay a wreath at the grave of Louis Heurt, 118th Infantry Regiment whose remains were found alongside those of his comrade, Appolinaire Joachim Marie Ruelland, during the recovery work for Carter and Marmon. 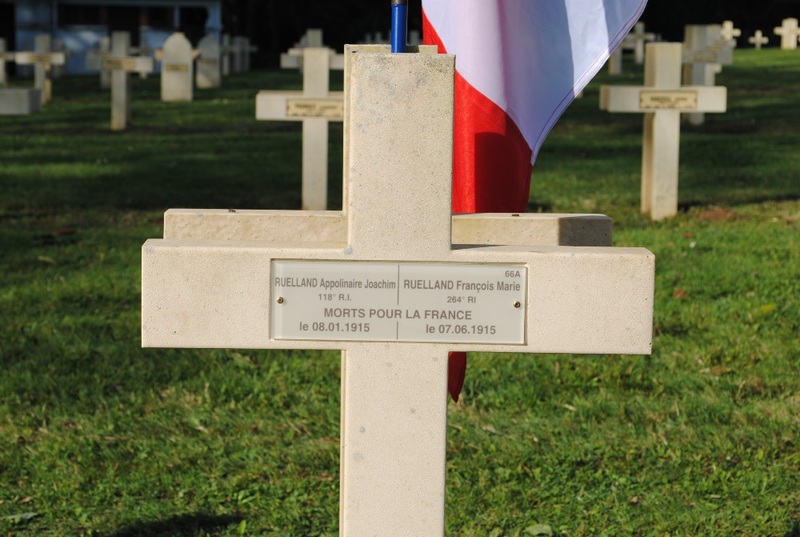 Both French soldiers were killed on 8 January 1915. 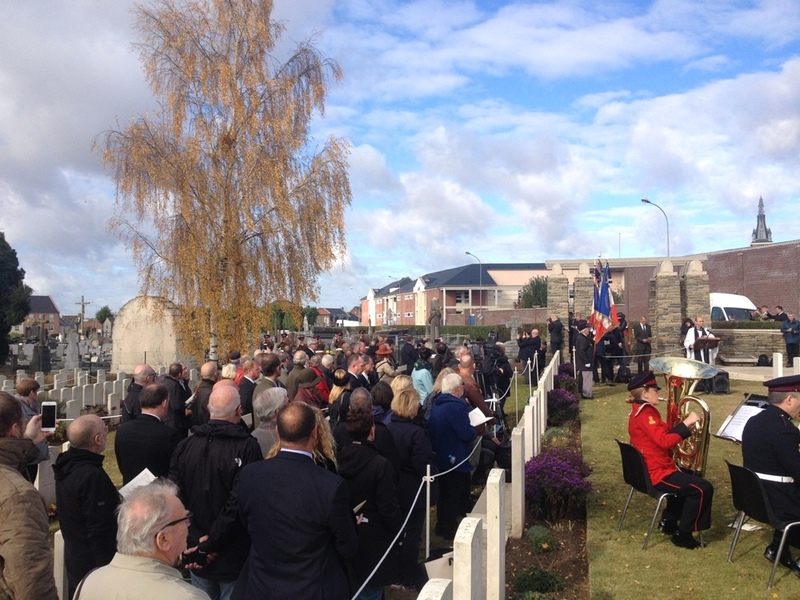 The following day we revisited Albert Communal Cemetery Extension. 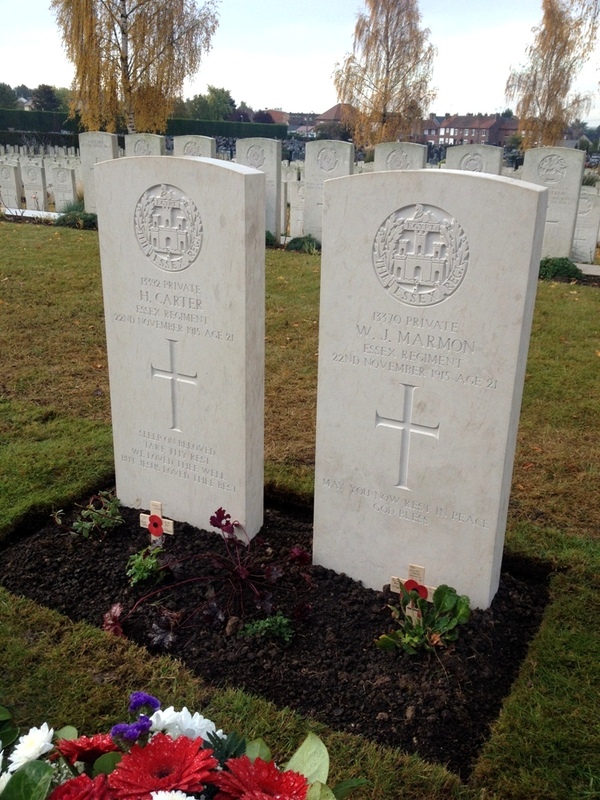 The graves of Harry Carter and William Marmon have now been landscaped by CWGC gardeners. 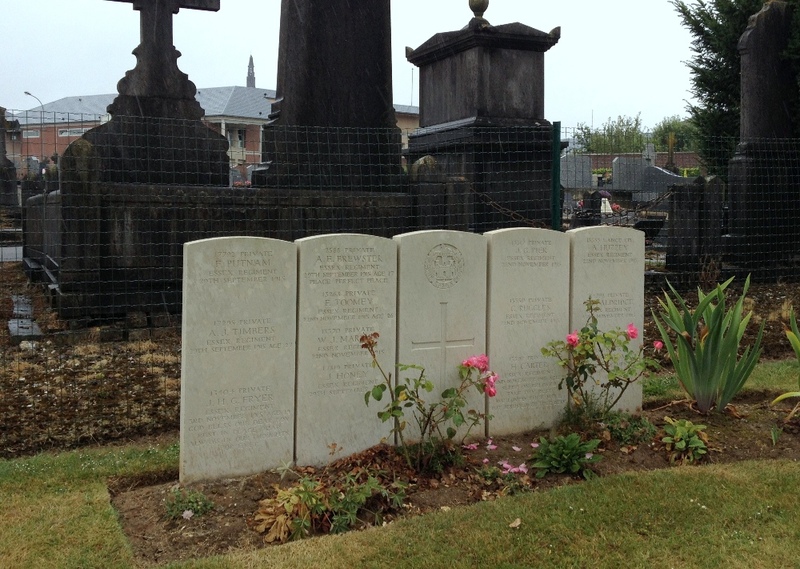 The new graves of Harry Carter and William Marmon. 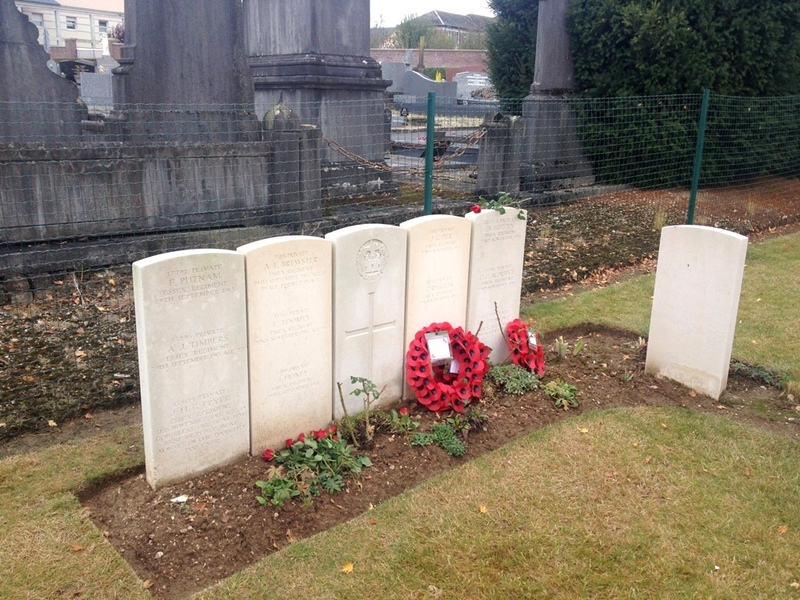 The remains of First World War soldiers – the missing – are uncovered every year on the old battlefields of France and Flanders, but the story of two men of the Essex Regiment found in late 2013 on the Somme is unlike any other, for both were for a century believed to have lain beneath headstones bearing their names in a nearby Commonwealth War Graves Commission cemetery. 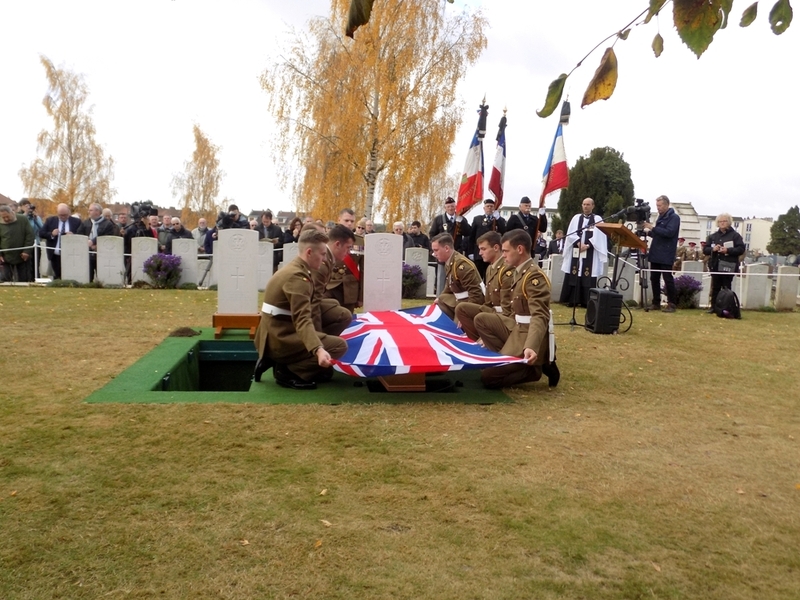 The two soldiers were part of a group of eight men buried alive as a result of the explosion of a massive German underground mine in the Somme village of La Boisselle. 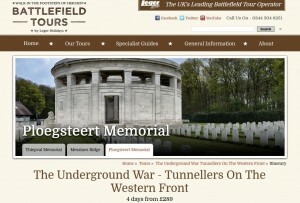 In the early hours of 22 November 1915 their bombing post and dugout was engulfed by hundreds of tons of falling earth. Only now, after meticulous archaeological recovery, detailed research in British and German archives and the use of DNA analysis can the entire story be told. Over the decades the landowners had gradually sold off portions of land for house building, but as this symbolic and historic site was in danger of being totally lost to construction, opposition from the United Kingdom led them to reconsider. Finally, because of concerns over the existence of wartime tunnels beneath the land, and the threat of subsidence and consequent liability, one of the landowners decided to re-purchase a sold plot. 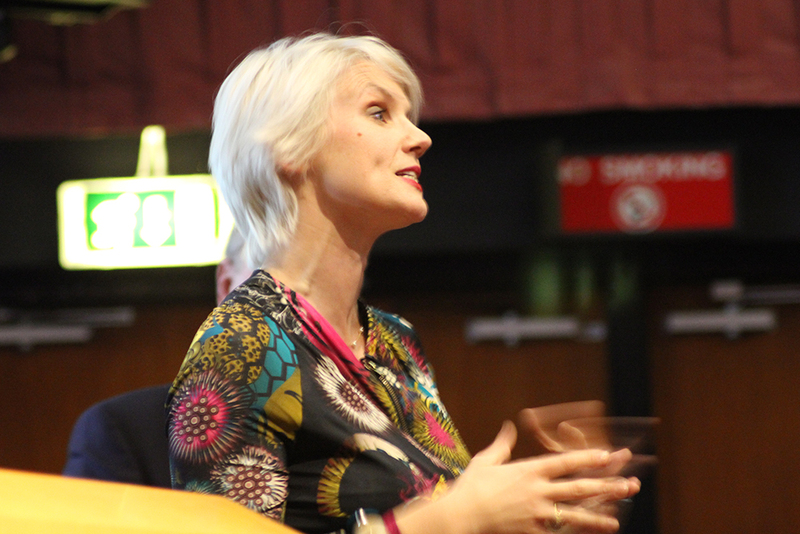 She then approached Peter Barton to help prove the historical significance of the land to prevent her coming under further local pressure to sell land for development. 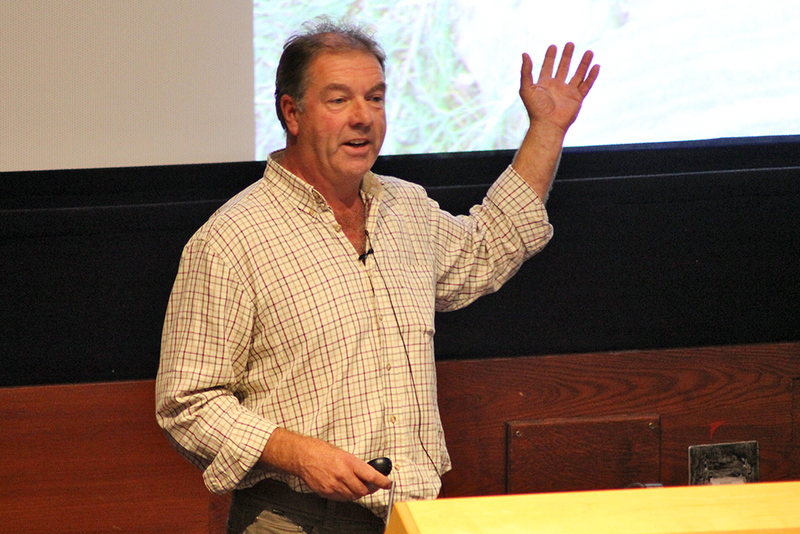 As a result, Barton formed the La Boisselle Study Group with the aim of carrying out a detailed long-term study of the site. An initial three-year contract with the owners was agreed, and the team came to include historians, archaeologists, engineers, mine-rescue specialists, ordnance-disposal consultants, surveyors, anthropologists, conservators and osteologists. Funds were raised through voluntary donation, and in 2010 the LBSG commenced a three-week period of work at the site. The surface archaeology included French, German and British trenches plus vestiges of a farmhouse and stables; beneath them lay an extraordinary eight-kilometre complex of tunnels; this too was accessed. 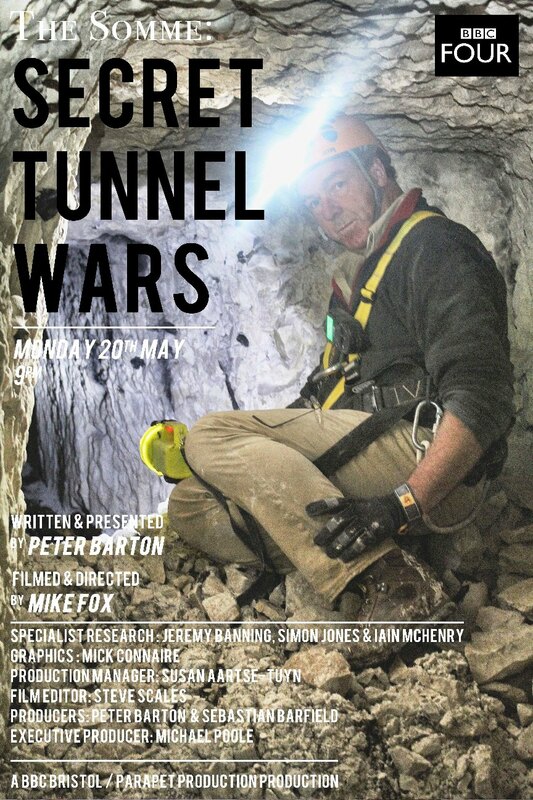 In 2013 the project was the subject of a BBC film: The Somme: Secret Tunnel Wars. The archaeology soon produced evidence of the bitter warfare that characterised the site. 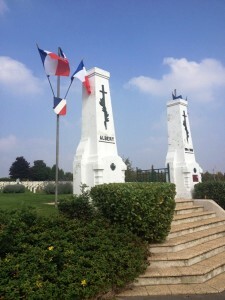 Bone fragments lay everywhere and the remains of four French soldiers were found. By May 2011 the remarkable results of the first season had already ensured that the Glory Hole had been de-classified as building land, and thus protected and preserved for posterity. 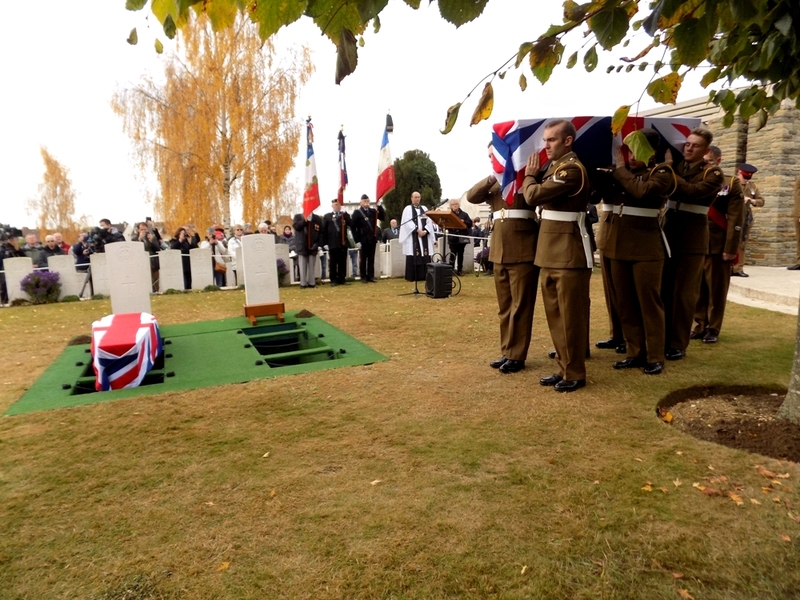 The first discovery of the remains of British soldiers came in summer 2013 during the penultimate work period before the expiry of the LBSG’s three-year contract. 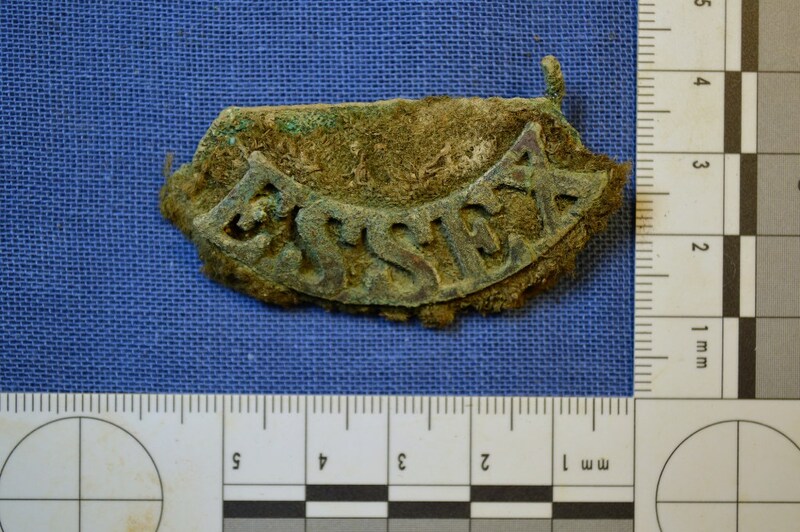 Associated artefacts such as badges and rifle markings indicated the first soldier belonged to the 10th Battalion of the Essex Regiment. 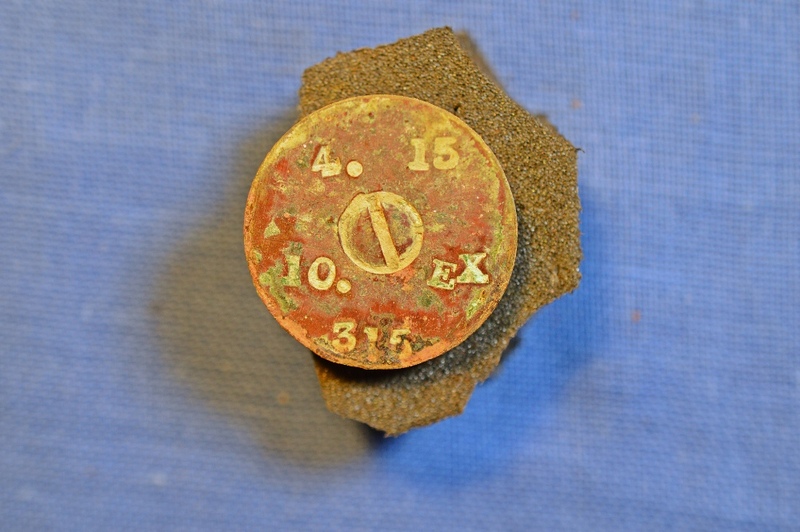 LBSG historian Simon Jones quickly concluded that there was a strong likelihood that he was one of a group of eight soldiers buried alive as a result of the explosion of a massive German underground mine: in the early hours of the morning of 22 November 1915 their bombing post and dugout was engulfed by falling mine debris. Barton’s research in Stuttgart in 2011 had also supplied a comprehensive German narrative of events. Before the discovery of the remains, therefore, a wide-ranging history, both operational and personal, had been compiled. 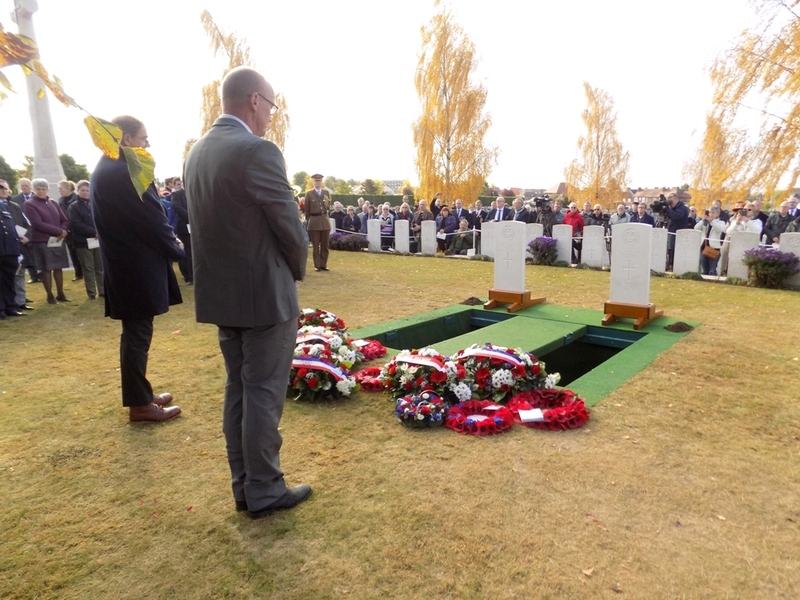 But there was a problem: all the men were recorded as having been ‘killed in action’, and had graves and headstones in a Commonwealth War Graves Commission (CWGC) cemetery in the nearby town of Albert. LBSG historians, however, could find no documented evidence of the recovery of their bodies, nor indeed of their burials. 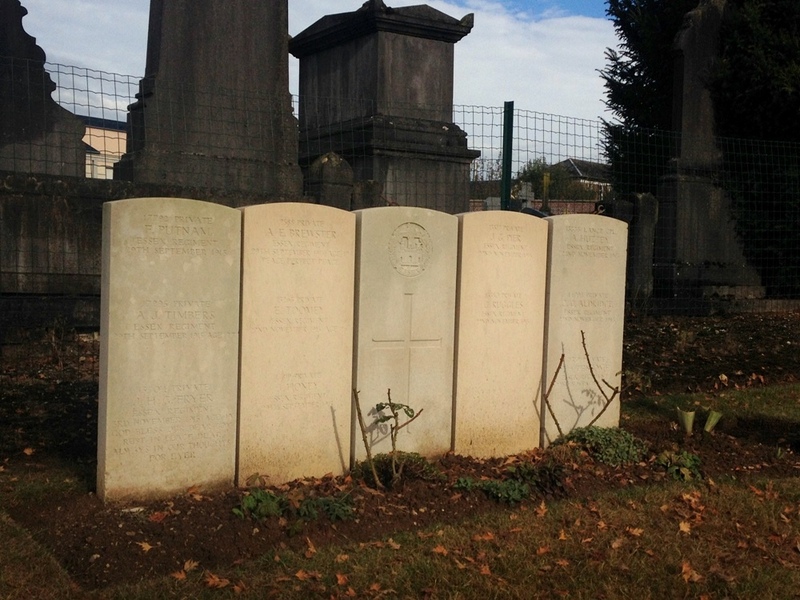 The mistake over the burials, understandable given the conditions in the front line at the ‘Glory Hole’, was not that of the Commonwealth War Graves Commission but of British Army recording at the time. The descendants of Harry Carter have in their possession the official War Office notification, dated January 1916, erroneously confirming that Harry had been buried in Albert Cemetery. 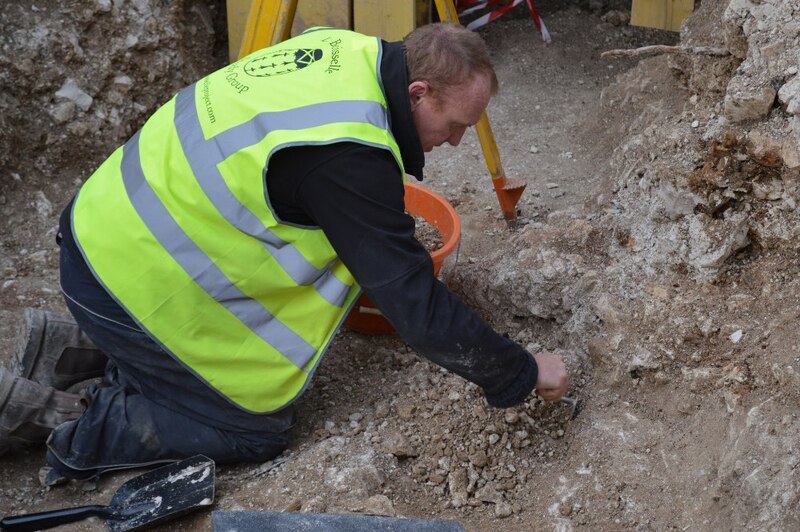 In order to properly recover the remains, the CWGC allowed the LBSG to carry out a full archaeological excavation around the location of the dugout. This took place in November/December 2013 during the final weeks of the three-year contract with the landowner. A highly experienced team of archaeologists, finds specialists and conservators was assembled, led by archaeologist Cameron Ross. 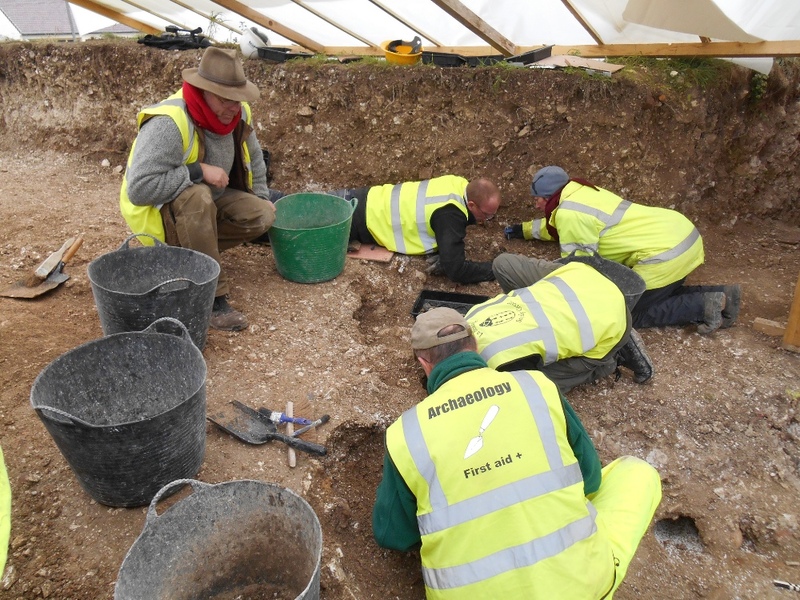 The site was covered by a specially-designed and constructed temporary building that incorporated space for the excavation, study of the remains, and cleaning and listing of associated artefacts. 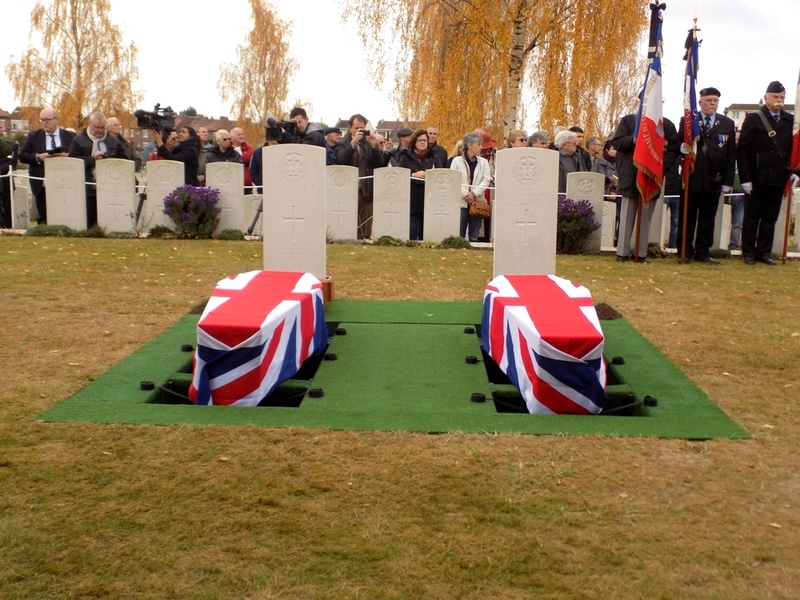 The bodies of two Essex Regiment soldiers were recovered and taken to the CWGC headquarters in Beaurains near Arras. Importantly, both had been found in a trench, fully armed with rifles with fixed bayonets, carrying bags of grenades and flares, and with flare pistols close to hand: they had clearly been on duty. 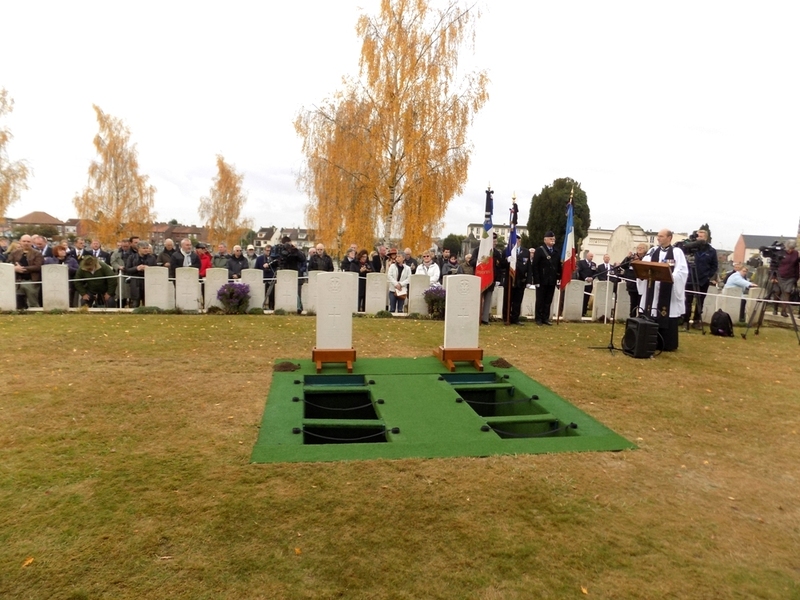 The search for their six comrades then continued, but the project had already become further complicated by the discovery of two French soldiers buried barely half a metre from the British. Excavated by archaeologist Brian Powell, Louis Heurt and Appolinaire Ruelland (118th Infantry Regiment) had been killed in early January 1915. 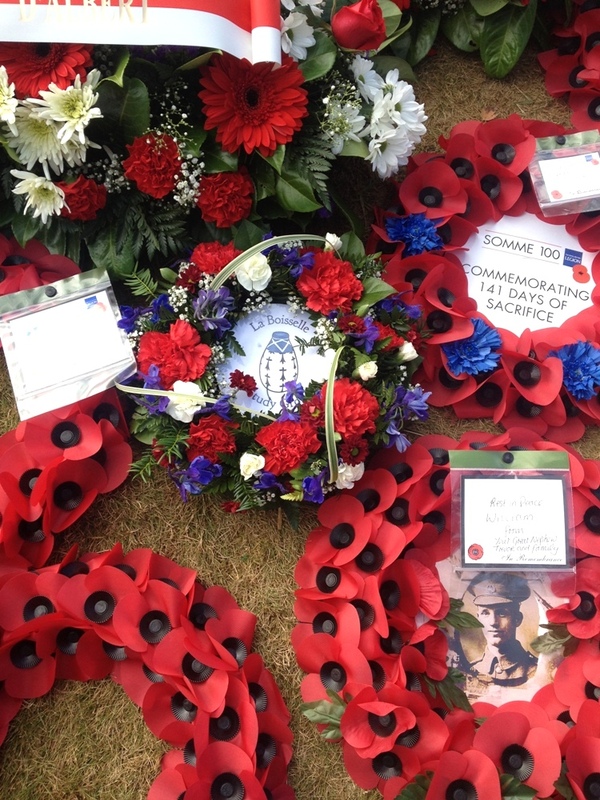 The men were wearing their identity discs, and both have since been reburied. To make matters more complex, the remains of a German soldier were then partially uncovered. 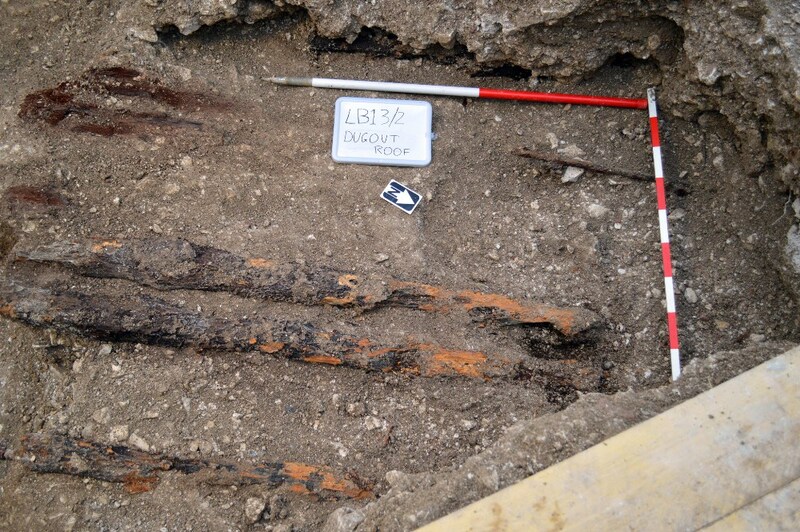 Two metres further along the trench, the timber remnants of the dugout in which the remaining six Essex soldiers were believed to have been sheltering, awaiting their turn of trench duty, was found. 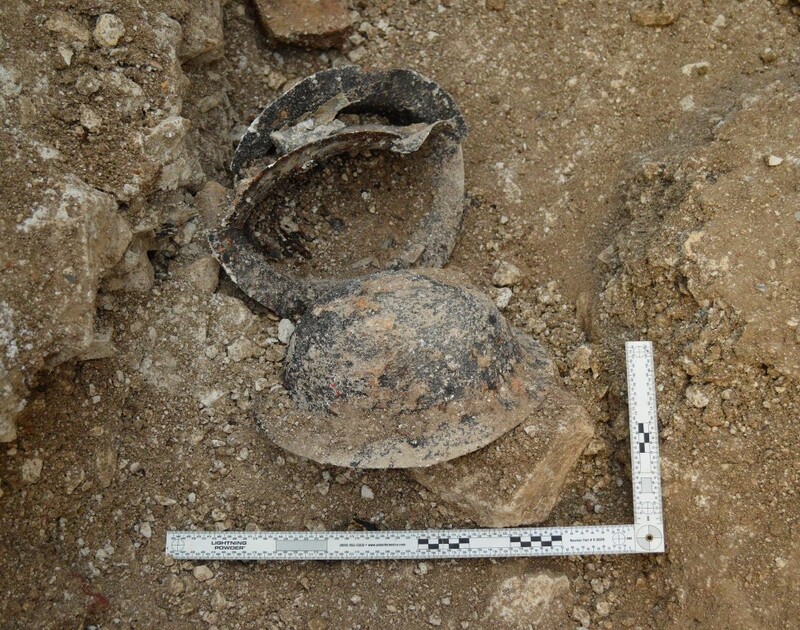 A mass of archaeological evidence at the collapsed entrance such as rifles, stacked helmets, personal items and boxes of hand grenades left LBSG specialists in little doubt that the excavations had brought them close to the bodies of the six entombed men. But time was now no longer on the side of the team, and to their bitter disappointment, not only was it impossible to explore the dugout, but the German soldier also had to be left in situ: the depth of the archaeological cutting through the high lip of the mine crater made excavation unsafe without further earth moving. The LBSG was unfortunately unable to agree terms with the landowner for a new contract to complete the recovery. 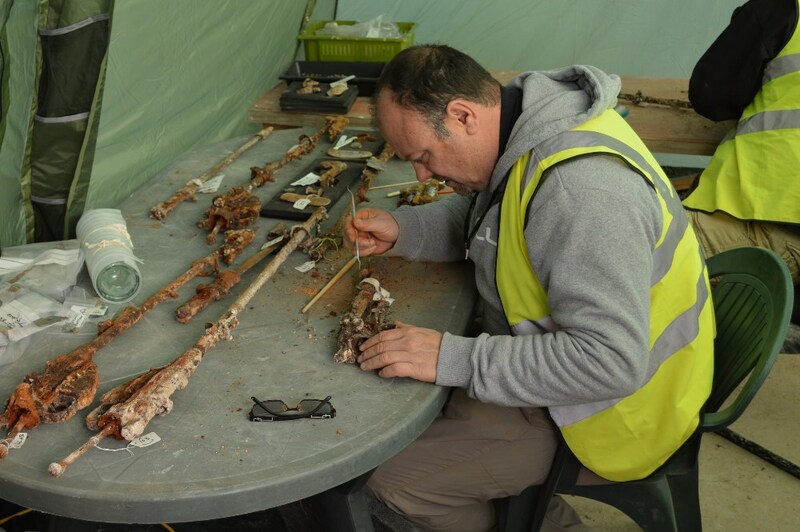 Finds specialist Anna Gow documented many hundreds of individual artefacts found with the four soldiers, with expert post-excavation conservation by Pieta Greaves. 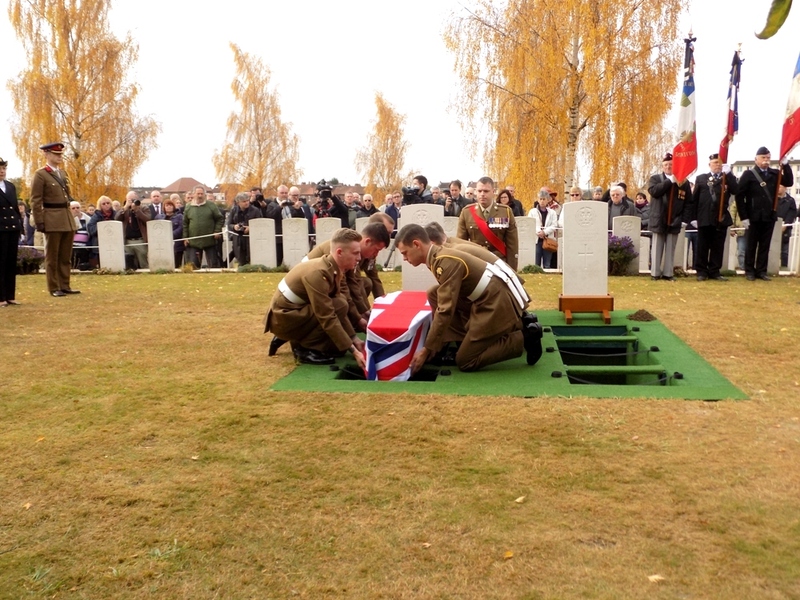 As well as their equipment and weapons, the personal possession were poignantly preserved in their entirely but it was not yet possible to identify the two British soldiers. One had three small ceramic figurines, usually found in cakes traditionally served in France at the festival of epiphany, a French bullet head finely-carved with a heart symbol, a metal slot-machine token, some French coins and the remains of a pipe and lighter. The other soldier was wearing a ‘trench-art’ ring on a finger of his right hand, and was carrying a lighter, coins and writing paper. The possessions, however, gave no clue as to their names and their fibre identity discs had long since decayed. 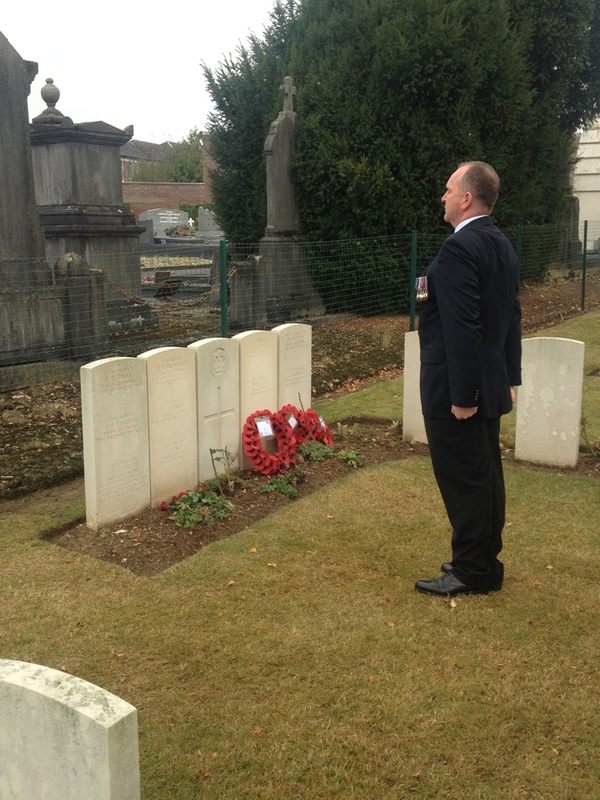 It could not yet be said which of the eight lost soldiers the two men might be. An osteoarchaeological analysis by Hayley Forsyth showed that their ages were between 18 and 25 and that their skulls showed impact trauma at the time of death. 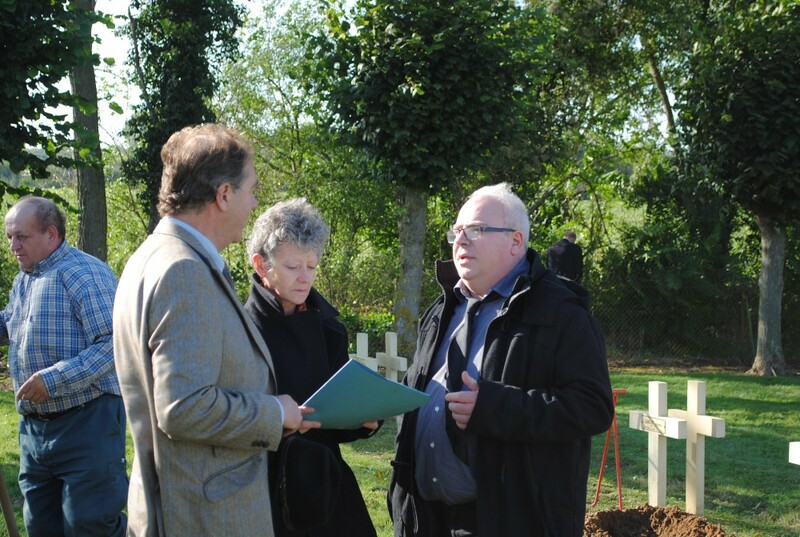 LBSG genealogist Glen Phillips produced family trees for all eight soldiers which enabled the Ministry of Defence Joint Casualty and Compassionate Centre (JCCC) to locate and make contact with the all the descendants. DNA analysis carried out for the JCCC finally identified the first man to be found as 21 year-old William James Marmon aged 21 from St. Pancras, London, and the second as Harry Carter, also 21, born in West Ham, Essex. 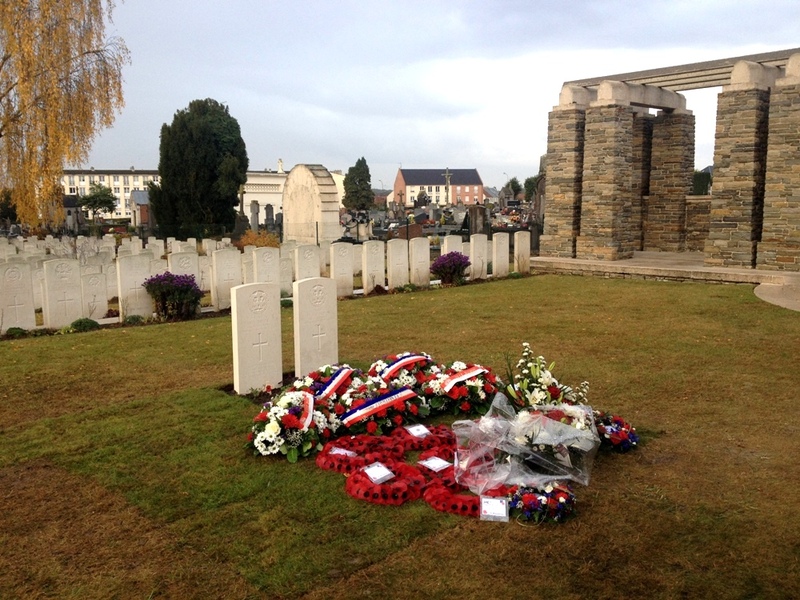 This confirmed that they were indeed two of the eight men killed by the mine explosion of 22 November 1915. 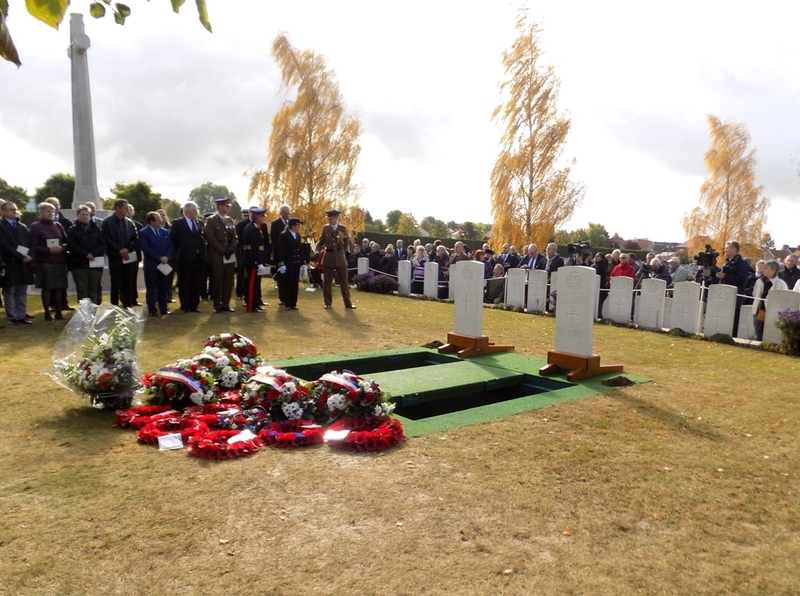 The reburial of William Marmon and Harry Carter will take place at 1100 hours on 19 October 2016 in Albert Communal Cemetery Extension – the same cemetery in which the men were believed to have lain for a century. Further details will be released by the CWGC, JCCC and LBSG nearer the date. The LBSG would like to extend their gratitude to all those who worked on this project. 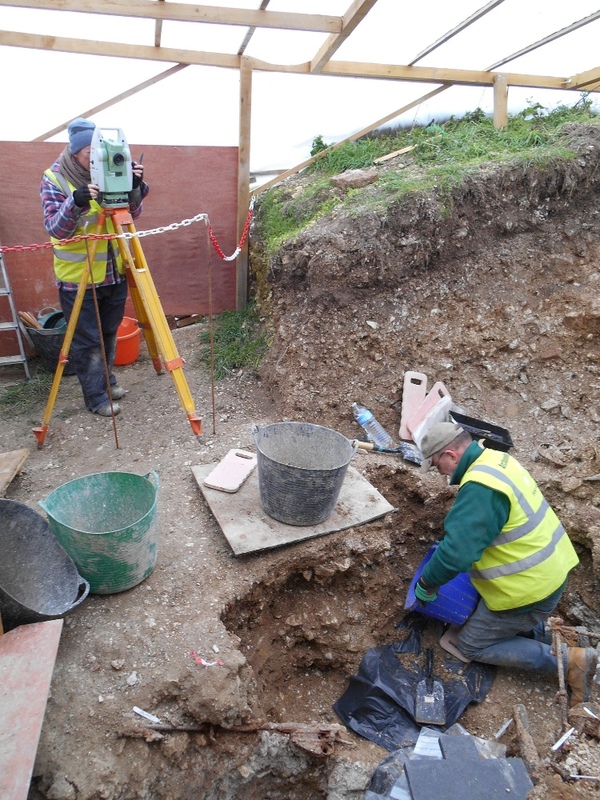 Particular appreciation must go to sponsors and donors who enabled the work to take place in November/December 2013, most notably JCB and Thwaites who provided brand new machinery for the excavation and Margaret Beach and her colleagues at Multi-Limn who provided laser and site surveying. 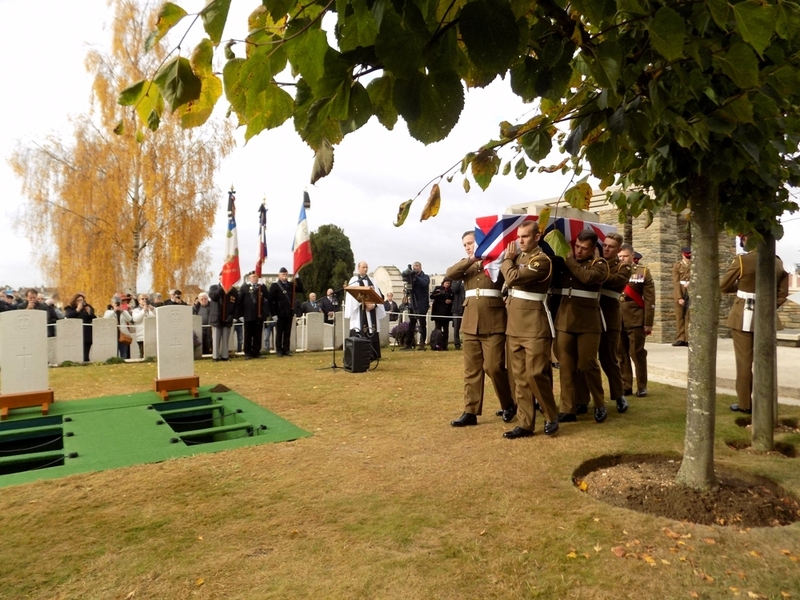 On 8 September 2014 a ceremony was held at the French National Cemetery at Albert to commemorate the burial of one of two identified French soldiers recovered by the La Boisselle Study Group during archaeological excavations in November 2013. 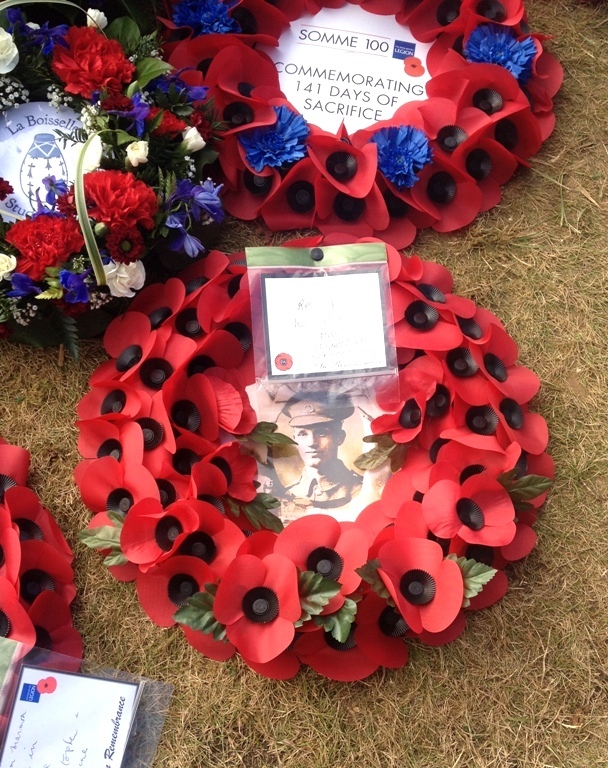 The two soldiers, who were discovered buried in the wall of a trench, were identified from their identity discs. 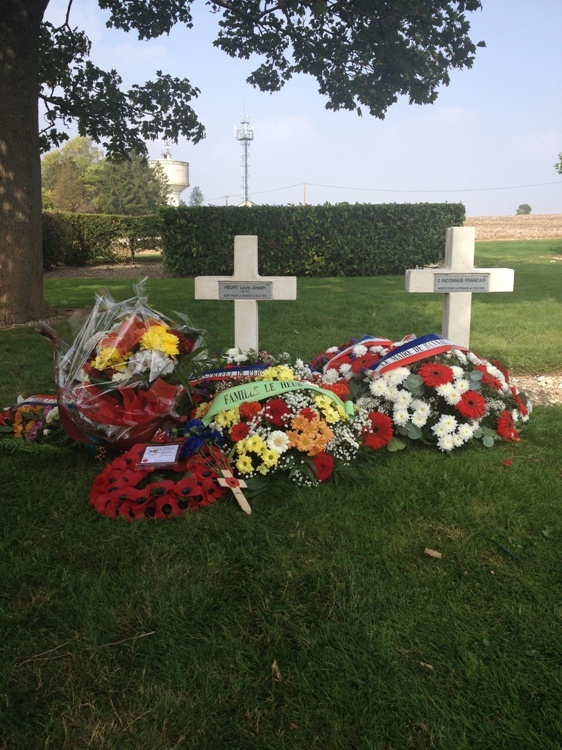 Privates Louis Joseph Heurt and Appolinaire Joachim Marie Ruelland, both of the 118th Infantry Regiment, were killed on 8 January 1915 during a German attack on the Ilôt at La Boisselle. 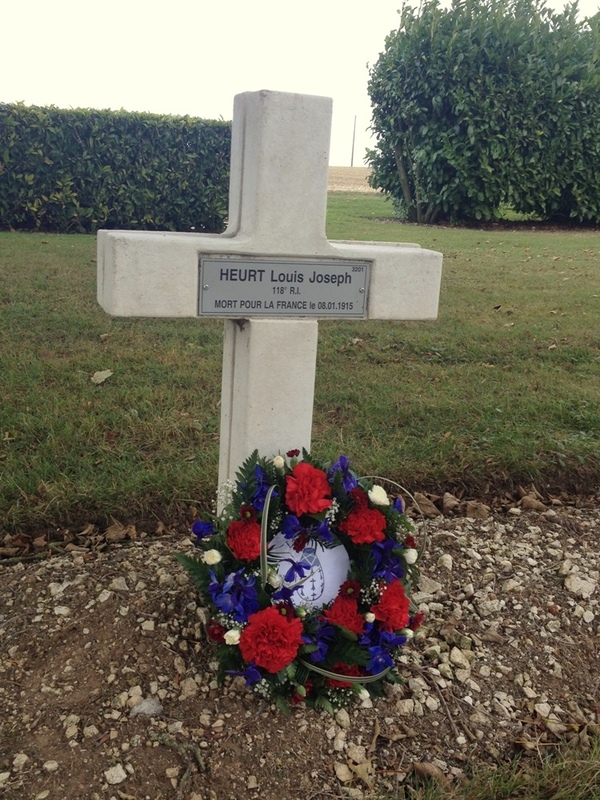 Louis Heurt’s remains were interred earlier this year at the French National Cemetery at Albert. 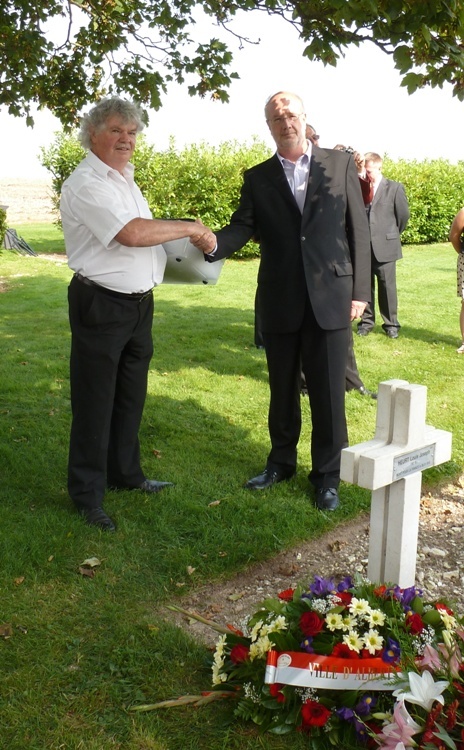 On 8 September 2014 a ceremony was held enabling family members to pay their respects, during which the plaque was formally fixed to the cross over his grave. 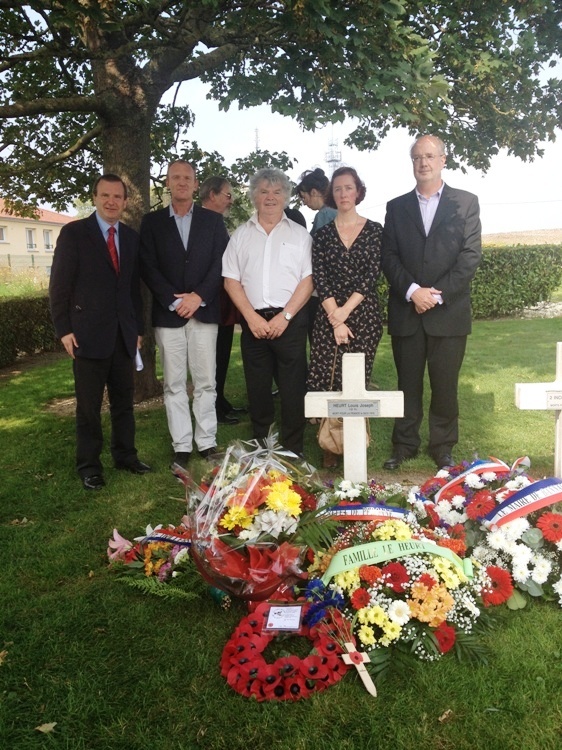 Descendants of Louis Heurt were in attendance, including his nephew M. Michel le Heurt. 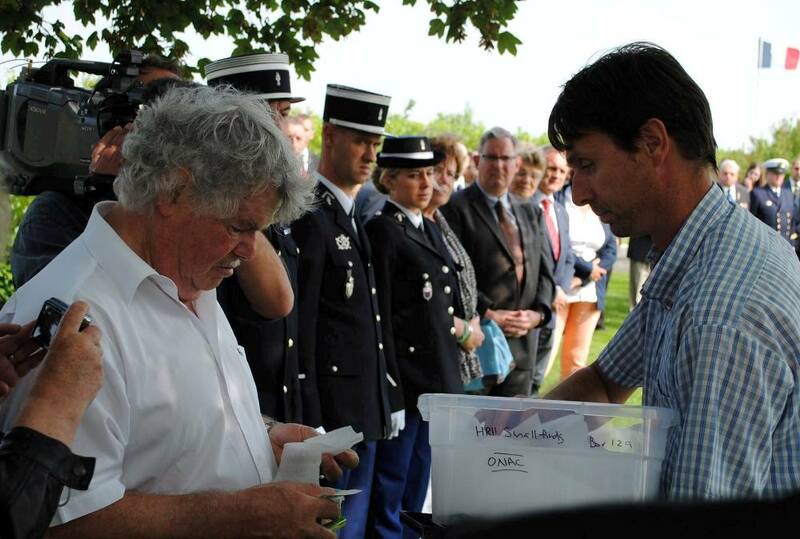 Personal affects, including uniform buttons and other items found with the remains, were presented to M. le Heurt during the ceremony. 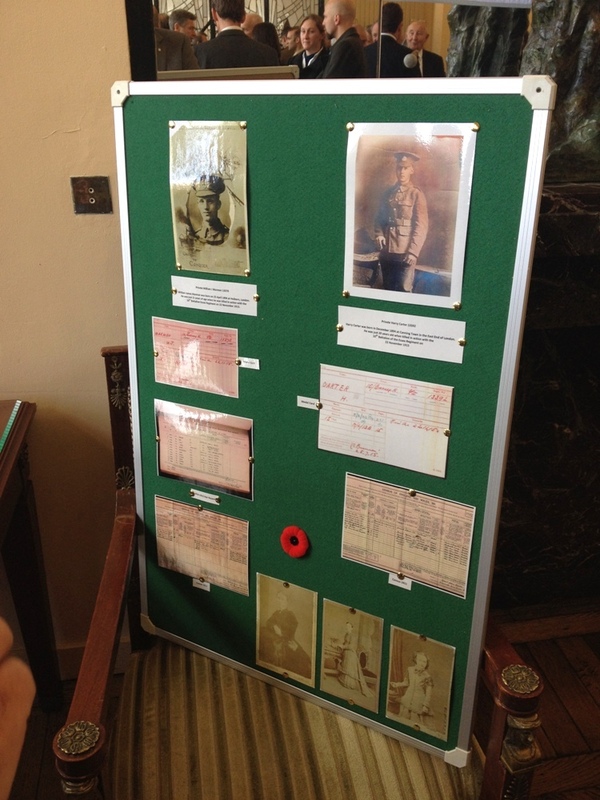 These items had been passed to the ONAC (Office National des Anciens Combattants et Victimes de Guerre) by the LBSG when the remains were recovered in November 2013. 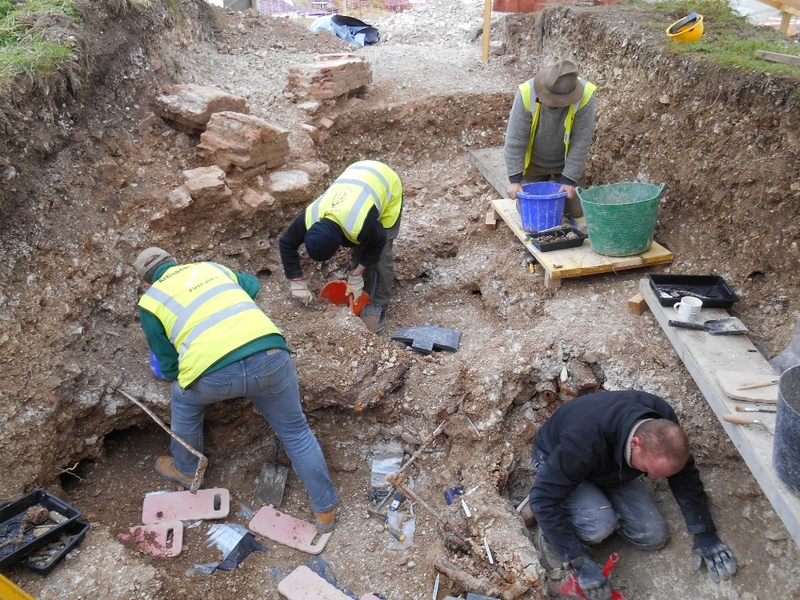 A number of LBSG members were in attendance, including the archaeologists who carried out the excavation. 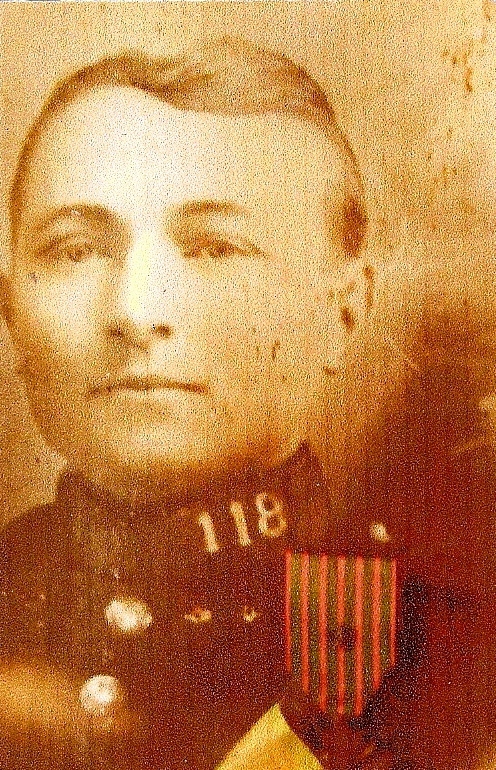 Louis Joseph Heurt, 118th Infantry Regiment. Image reproduced with permission of Michel Le Heurt. 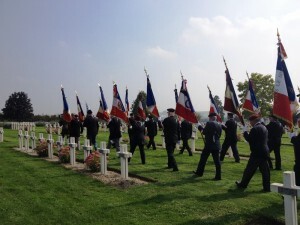 At the request of his family, the remains of Appolinaire Ruelland will be buried at Tracy-le-Mont alongside those of his brother. 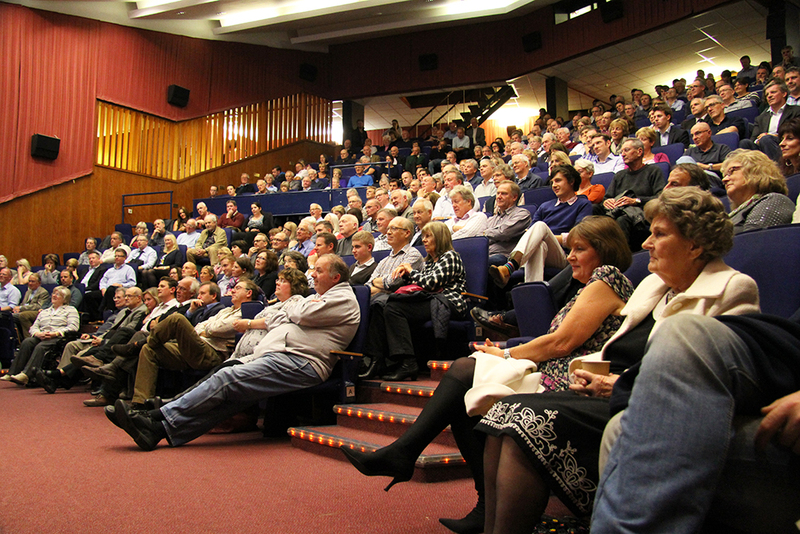 The ceremony is due to be held on 9 October 2014. 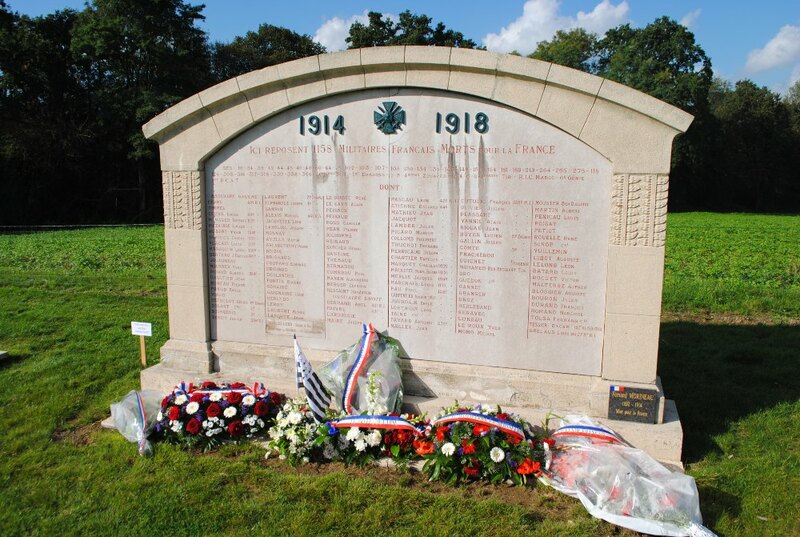 As some followers of the La Boisselle Study Group (LBSG) will be aware, in the autumn of 2013 a new local organisation was formed in order to consider the future potential of the ‘Glory Hole’ archaeological site at La Boisselle, Somme. 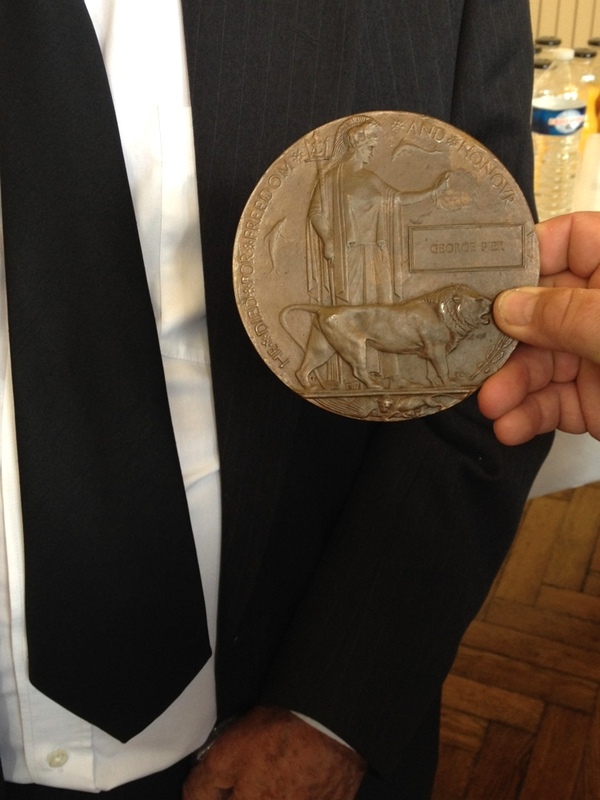 It was named the Association des amis de l’Ilôt de La Boisselle (hereafter Ilôt Association). It was also decided that future contracts were to be agreed between the LBSG and the Ilôt Association, rather than solely with the proprietors as before. This was seen as a wise and useful development. The President of the Ilôt Association is the proprietor of the Glory Hole, Mme. Claudie Llewellyn-Lejeune. 1. As every visitor to the Glory Hole will be aware, the LBSG invested careful thought and enormous effort in ensuring maximum site safety for all. This feature of practical archaeological and engineering work has always remained at the top on our list of priorities, and our safety procedures evolved and became more stringent as the project progressed, for reasons that will become clear. In the new contract there are no clauses that deal with the behaviour of one individual associated with Mme. Llewellyn-Lejeune who was not a member of LBSG , whose erratic and dangerous activities have for some time caused problems for the LBSG and the project as whole. 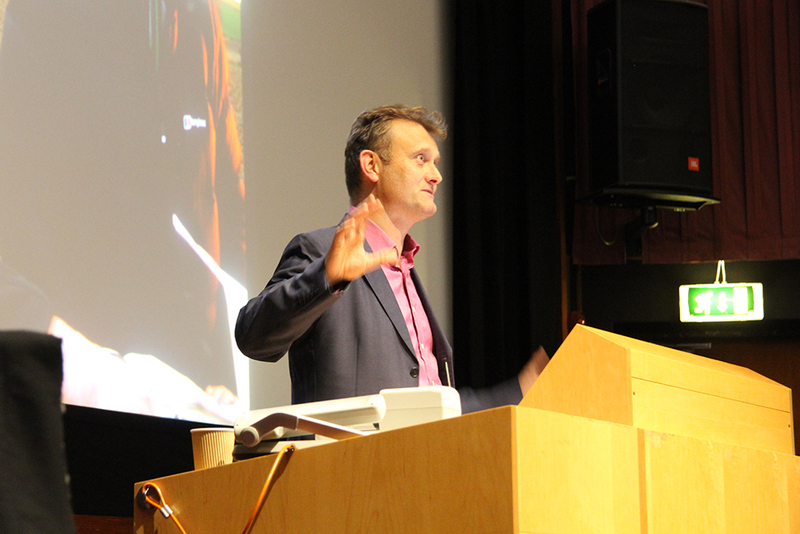 Of the many thousands of people who have visited the Glory Hole during the last three years, and despite attending a specially arranged and comprehensive ordnance awareness lecture by world expert Brian Todd of Bactec International, this individual is the only person who has repeatedly – and knowingly – put human life at risk. He has frequently wilfully ignored clear and essential safety regulations, and on many occasions has been present on site whilst under the influence of alcohol; the LBSG have received numerous comments from colleagues and visitors about his behaviour. After each event, the LBSG challenged him about his potentially lethal activities, which on at least two occasions included the throwing of live hand-grenades towards or to volunteers. Despite discussion, however, this individual’s behaviour did not change. During the past two years further examples have been brought to our attention by other parties. All events that took place at the Glory Hole are documented. In the autumn of 2012, Mme. Llewellyn-Lejeune was made fully aware of the serious danger that this individual posed, and of the many messages of concern received from visitors. Having, to our surprise, initially defended him, she then stated categorically that he would never again come on site when the LBSG were working there; unfortunately, that assurance has not been adhered to. It is impossible to ensure the safety of any person working at or visiting the Glory Hole if the individual is present. Given that the LBSG will not be returning to work at the site, we are no longer able to personally police his activities. 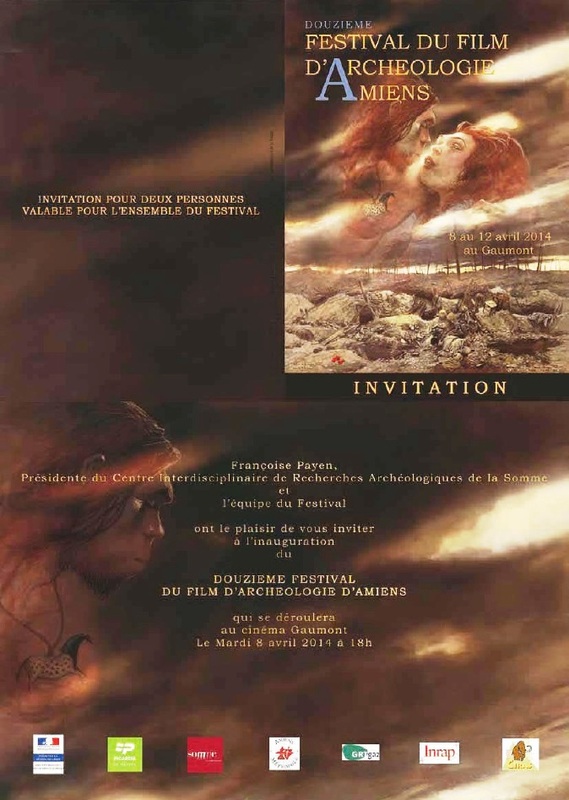 The French authorities (including the Picardy archaeological organisation, the DRAC) have been made aware of the situation. We understand that villagers have been led to believe that work has ceased because it had become too dangerous. The LBSG would like to state that this is entirely untrue. Having received expert training and been sponsored with specialist equipment, and implemented the strictest of health & safety procedures, the Group at no time had any concerns about subterranean work. In three years of exploration there were no emergencies or alarms. By far our greatest concern was the erratic and dangerous behaviour of the individual referred to above, and his wilful disregard of unambiguous and critical safety regulations to which everyone else on site studiously adhered. The LBSG are profiteering from the project. The team is of solely British composition. The French or German history of the site is regarded by the LBSG to be of minor importance. The LBSG is only concerned with exploring British trenches and finding the remains of British soldiers; the remains of any French soldiers that are uncovered are being summarily dispensed with. Heavy machinery is being employed to cut archaeological corners, and professional archaeological techniques are being deliberately ignored, not only by the LBSG but by the French archaeological authorities, who are “looking the other way”. Archaeology and landscape features are being deliberately and wantonly destroyed. In November 2013, the LBSG deliberately impeded the proprietor from visiting her own property. The LBSG have been stealing artefacts from the site. 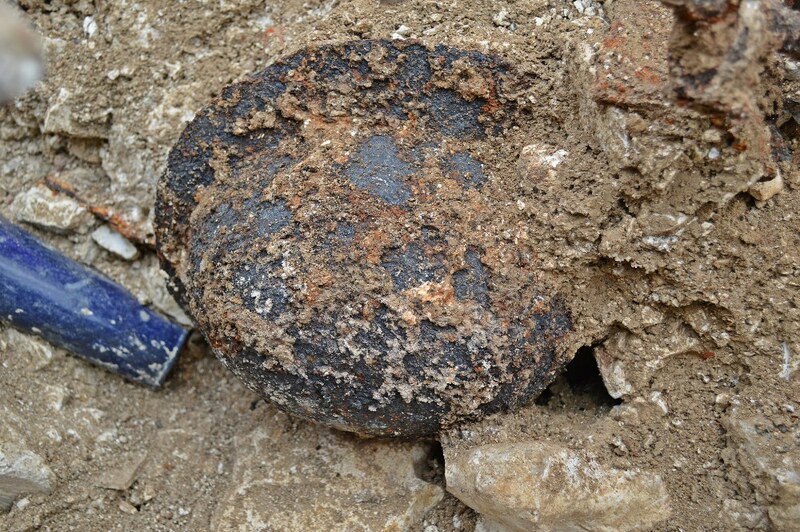 Artefacts from the site have been taken (i.e. stolen), and transported to the UK in the helicopter of one of our sponsors. 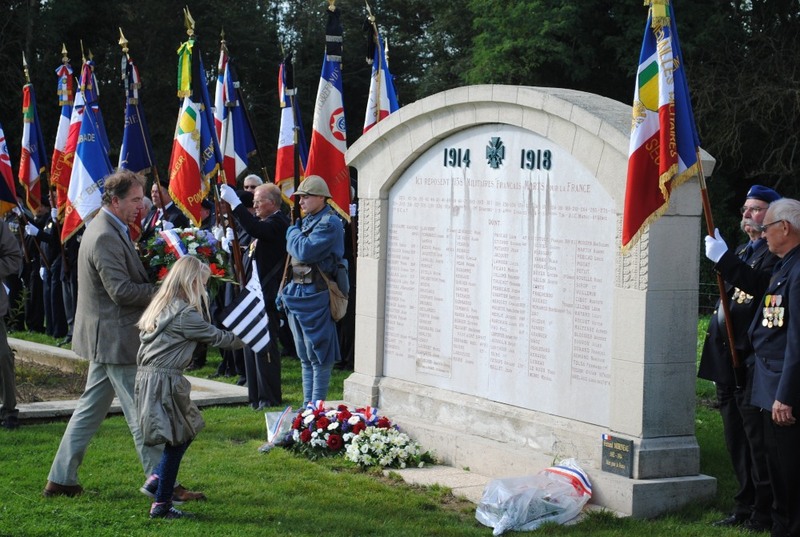 The defamation applies personally to members of the LBSG and their professional volunteer colleagues, but also libels the DRAC Picardie, who not only oversee the La Boisselle Project but frequently work alongside our archaeologists. Some LBSG sponsors have also been implicated; they have all been advised of the situation. Despite repeated requests to Mme. Llewellyn-Lejeune to supply corroborating evidence for her accusations, none has been provided. Claudie Llewellyn m’a fait passer cette photo prise clandestinement sur le site de la Boisselle dont elle est propriétaire. 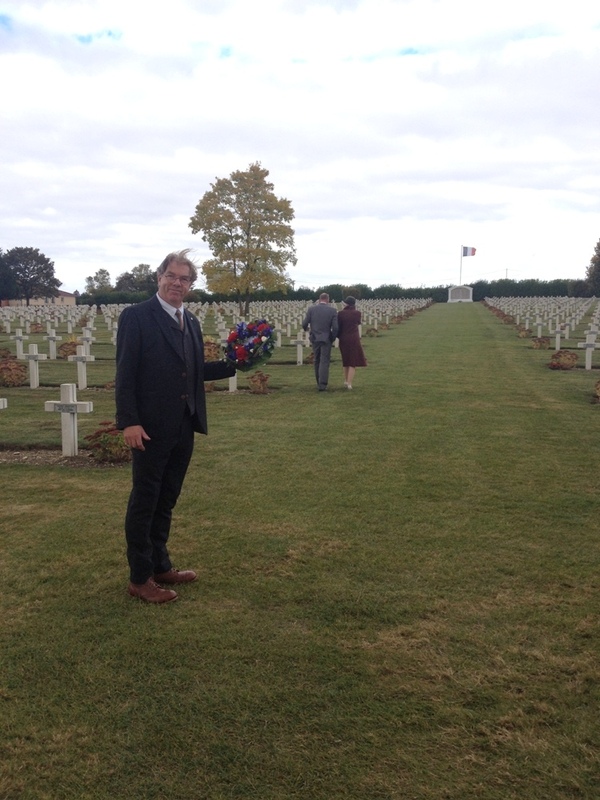 L’équipe uniquement britannique de l’archéologue Peter Barton, au mépris des règles du contrat d’intervention sur ce site privé et préservé, mène des fouilles à grands coups de pelleteuse (mais oui ! ), ceci avec l’accord de la DRAC Picardie. On a connu la DRAC plus soucieuse de préservation de patrimoine. Sur les châteaux, truelles, cuillères et pelles sont juste tolérées. Ici, carrément une pelleteuse pour aller vite. Le site magnifique que le groupe Bretagne 14-18 avait visité en mai est défiguré, le premier entonnoir est éventré. Ce que veulent les Anglais (qui interdissent à Claudie, propriétaire des lieux, de venir constater ce qu’ils font, et qui tolèrent tout juste qu’elle entre sur son terrain ; Peter Barton ne lui adresse plus la parole) veulent manifestement trouver au plus vite des squelettes de tunneliers anglais. Le reste, comme la préservation du site, est secondaire ou même sans importance. Ils saccagent sans vergogne, tolérés par la DRAC, sous le regard incrédule et impuissant de Claudie et de quelques amis. 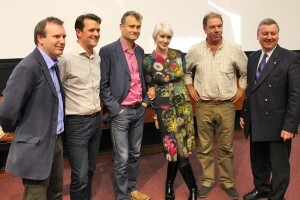 Tout ça sera filmé et fera un beau reportage à la BBC en 2014. S’ils trouvent des soldats français (car ils furent nombreux à disparaître dans ce charnier que fut cet îlot), tant pis pour eux. Il faut sans nul doute des ossements anglais. ET, pendant ce temps, les autorités françaises, locales, départementales ou régionales regardent ailleurs. Navrant. J’en reparle dans le bulletin. Summary: This message claims that the LBSG are using mechanical diggers to speed up the archaeological process and that the preservation of the site is of secondary importance. 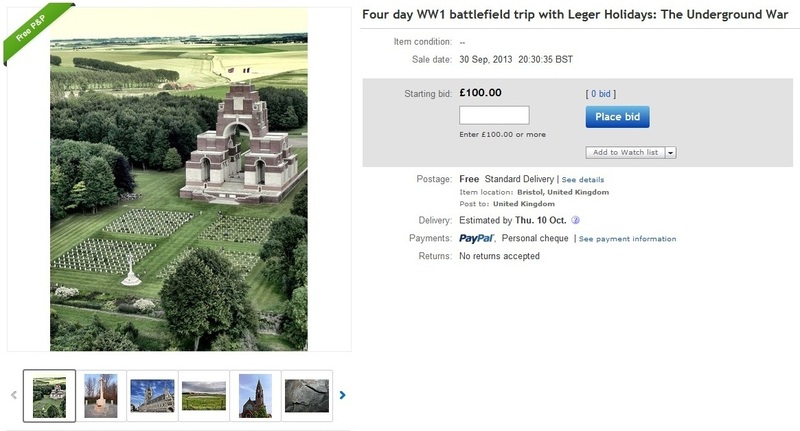 It claims that this was done in order to reach the remains of English soldiers more quickly, and that if French remains are found then it is simply ‘too bad for them’. 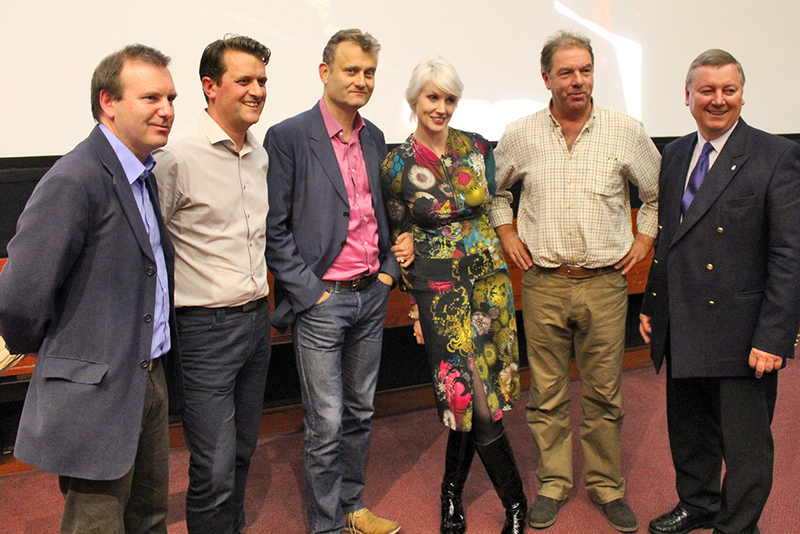 It claims that our work is focussed solely on the recovery of English ‘tunnellers’ and will be filmed for a BBC documentary in 2014. Everything other than this desire, it is noted, is of lesser or even no importance: archaeological corners are being cut. The message suggests that the DRAC Picardie are complicit in this and that French departmental and regional authorities have no interest and avert their eyes. Every aspect of this email – circulated widely – is incorrect and defamatory. M. René Richard did not visit the site during this period, and has never made himself known to the LBSG team. We categorically refute these deeply damaging allegations. The LBSG have also been advised that certain regional directors of the DRAC have received malevolent communications from Mme. Llewellyn-Lejeune. During the last working period in December 2013, M. Tahar Ben Redjeb of the DRAC Picardie spoke personally (on site) to her, making it plain that she was libelling his organisation, and quoting passages as examples. Mme Llewellyn-Lejeune denied this, and the defamations have continued. 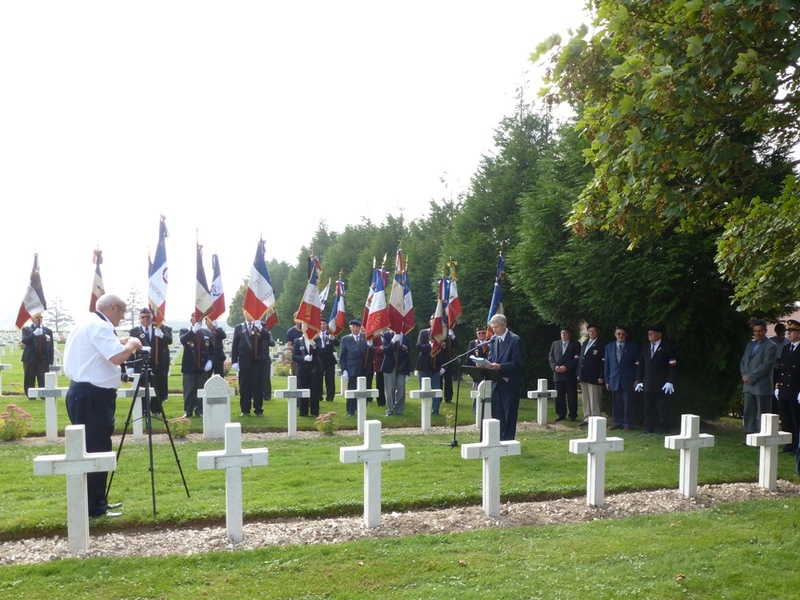 Other authorities to receive similar communications include the CWGC and their French counterpart, the ONAC. There have, therefore, for some time been repeated attempts by Mme. Llewellyn-Lejeune to damage the personal and professional reputations of a wide range of personnel involved in the excavations. The LBSG have received no apologies for this behaviour, and there is no indication that any of Mme. Llewellyn-Lejeune’s accusations will be retracted or rescinded. After each defamatory episode, the LBSG responded privately but in full to all members of the Ilôt Association. The new contract was offered for a period of one year. This was an insufficient period for the LBSG, for the professionals who work with the Group, for our very many volunteers, and for our sponsors. It allows no flexibility in planning or fundraising. In the autumn of 2013 the LBSG cautioned Mme. Llewellyn-Lejeune that to prepare the site for the centenary commemoration of French and German actions at the Glory Hole in 1914, a new contract needed to be drawn up and agreed very soon, and that to be feasible it needed to be of a duration of at least three years, encompassing 2015 and 2016, each of which would require commemorations tailored to the archaeology and events. In November of 2013 the LBSG were informed that a new contract had been drafted. It was not however delivered until late April 2014. In the intervening period Mme. Llewellyn-Lejeune’s defamatory activities continued, so the arrival of the new contract came as something of a surprise. It was discussed by members, and in late May universally rejected. The LBSG has heard nothing from the Ilôt Association since. Given the enormous amount of time and effort required in the reporting, planning, application and fundraising process – and to honour our own heavy personal work commitments at this very busy time – it was in any case too late to do anything before the spring of 2015. All items recovered as a result of archaeology have remained the property and the responsibility of the proprietor. 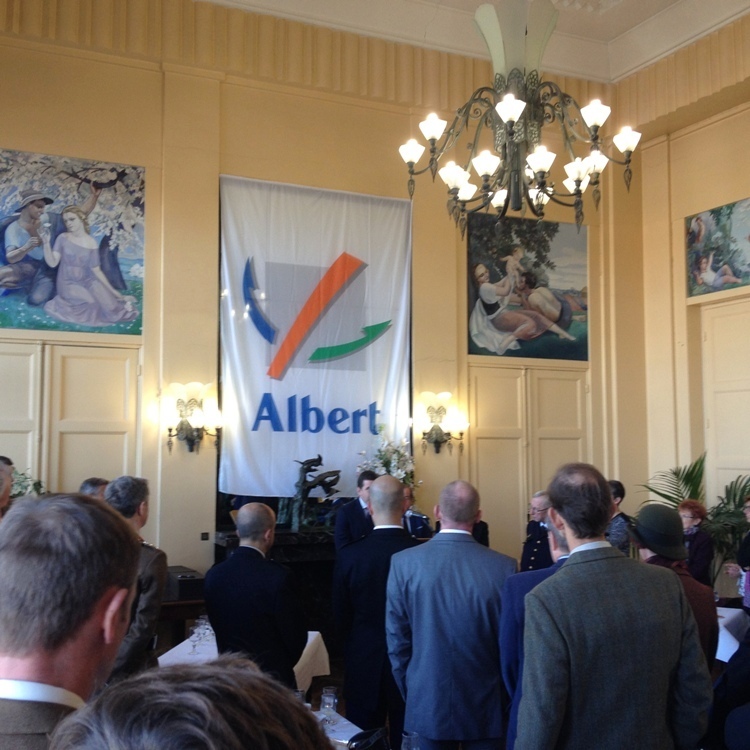 Many artefacts are currently lodged in the Musée Somme at Albert. 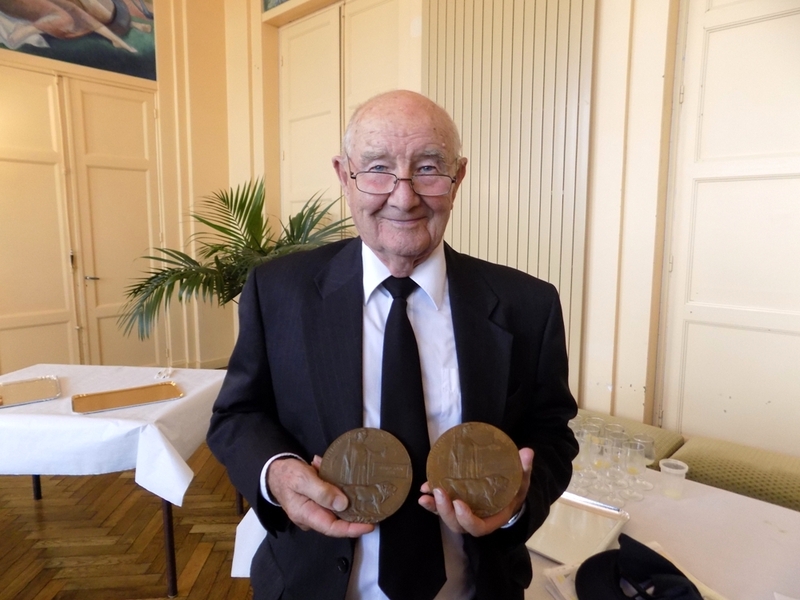 Those that were displayed in the recent exhibition at the International Festival of Archaeological Films at the Gaumont cinema in Amiens were noted by LBSG members, the DRAC and the CIRAS as being in a serious state of degradation; it is essential that the Ilôt Association make immediate efforts to properly conserve these and other unique items. As noted in our News update of 7 April 2014, in December 2013 the trenches and other vestiges were covered and the site completely backfilled. 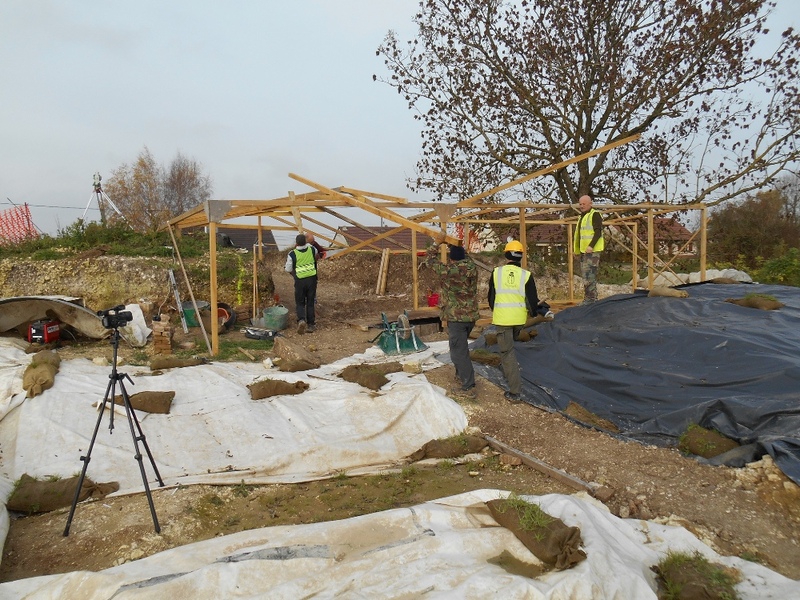 This standard archaeological practice was undertaken in order to protect the archaeology from both the climate and unauthorised visitors (vandalism/treasure hunting became a serious and costly problem for the LBSG last summer), and to make the site entirely safe. All LBSG property, such as tools and safety equipment, has been removed and put into storage elsewhere. We wish all interested parties to know that we have been very grateful for your generous support since 2011, and it is with the most profound regret that we leave our unique work at the Glory Hole; there remains much more to learn – and much more to share. The LBSG are, however, delighted that their collective efforts have been instrumental in helping to save the site from development and for posterity: the Glory Hole is now firmly embedded in public consciousness, not just in France and the UK, but worldwide. There is a greater understanding of its importance by the Conseil Général, local politicians, the DRAC, the CIRAS, UNESCO, the tourism authorities, museums, and countless local people. Our supporters across the world have played a large part in this achievement. We also owe a huge debt of gratitude to the French archaeological and cultural authorities (the DRAC and the CIRAS) for their confidence, support and assistance with funding. We thank the Service Déminage for their confidence, and for their unfailing skills and advice, and the ONAC for investing responsibility in our specialists to recover the remains of French and German soldiers. 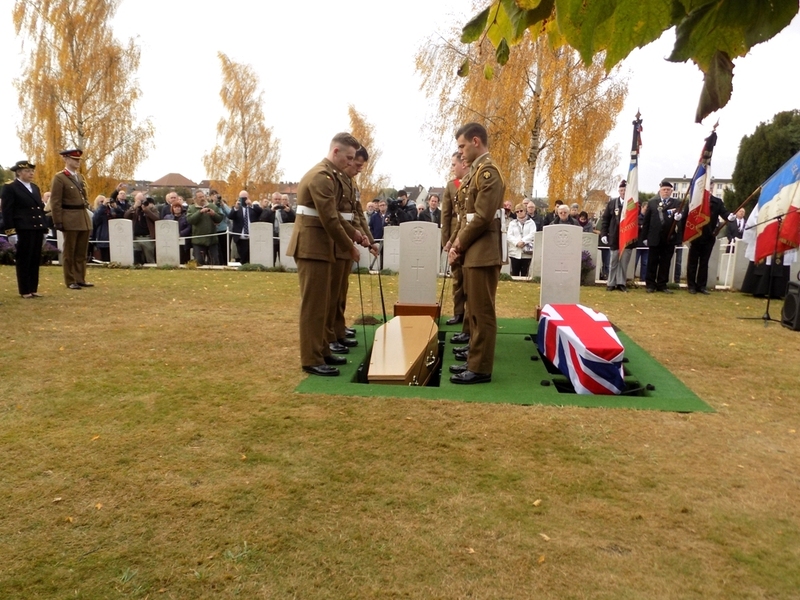 We would also like to thank the Commonwealth War Graves Commission for working with our specialists to recover the remains of British soldiers. 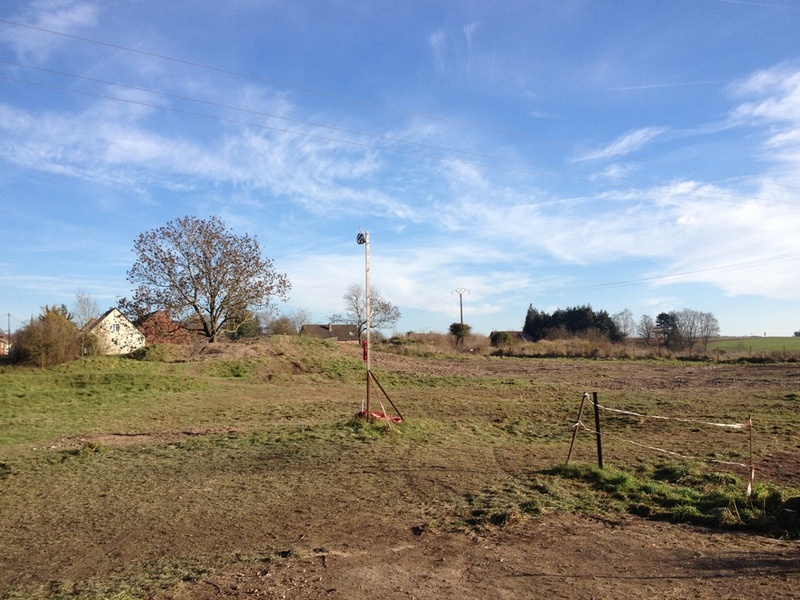 We are pleased that, having previously been engaged in selling off, plot-by-plot, sections of the Glory Hole for housing development, the Lejeune family are now fully aware of the historical and symbolic importance of the site, and will work with the Ilôt Association and others to ensure its long-term future and protection. We wish them the best of good fortune. We are especially gratified that as a result of the work the LBSG has carried out during the last three years, the threat of larger-scale development by compulsory purchase order has been lifted. With a view to future publications, international archival research into the history of the Glory Hole and La Boisselle will continue. 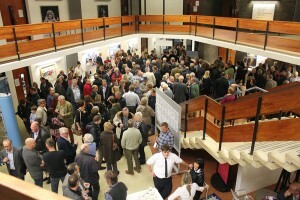 Other archaeological projects are being considered for the centenary period. Numerous people have contacted the LBSG requesting information on the future of archaeological excavations at the Glory Hole. At present we are able only to offer a holding statement. 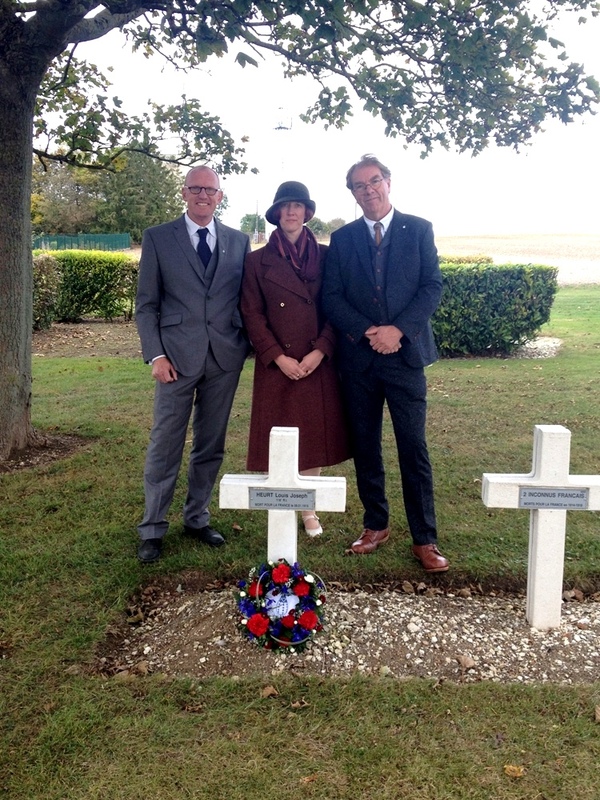 In November 2013 during the final archaeological excavations of the season, and indeed of the initial three-year contract period, the Group was advised by the landowner/president of the Association des Amis de l’Ilôt de La Boisselle (hereafter, Ilôt Association), Mme. Claudie Llewellyn-Lejeune, that a new contract was being drawn up and that meetings were required with LBSG members to discuss details. No meetings took place, and the Group was not contacted for verbal or written advice or discussion. The LBSG frequently requested updates. In late April of this year the Group were surprised to receive a draft contract from the Ilôt Association. For reasons that will be made clear in future statements on this website, in May the contract was universally declined. Mme Llewellyn-Lejeune and all members of the Ilôt Association were informed why rejection had been considered obligatory. However, the key issues had been made known to them on numerous previous occasions. No further correspondence or communication has been received from the Ilôt Association. Given the number of individuals and businesses associated with our work at the Glory Hole since 2011, discussions concerning the publication of certain aspects of the project have been long and complex. A detailed statement will be posted on this website as soon as consultations with British and French lawyers are concluded. Our thanks to all supporters for their patience. 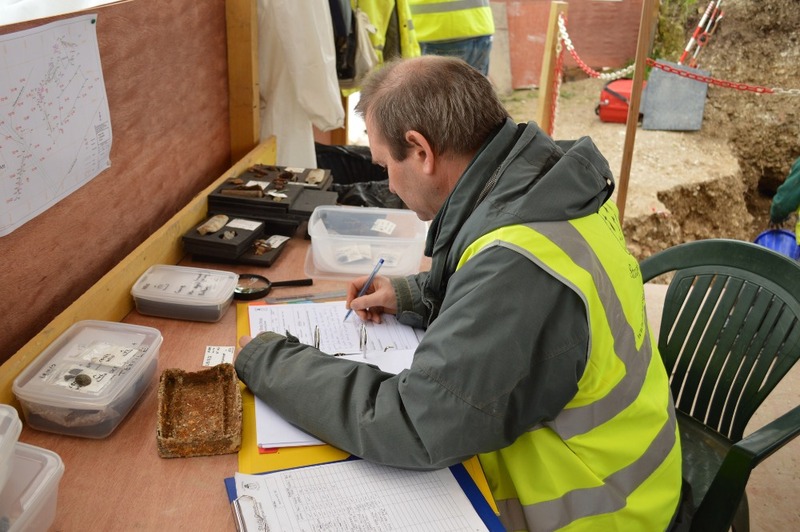 In mid-November 2013, archaeology by the La Boisselle Study Group (LBSG) restarted on First World War trenches at La Boisselle, Somme. The work concentrated upon features that once lay within the courtyard of a large farm, a position known by the French forces as the ‘Ilôt’, and by the Germans as the ‘Granathof’. 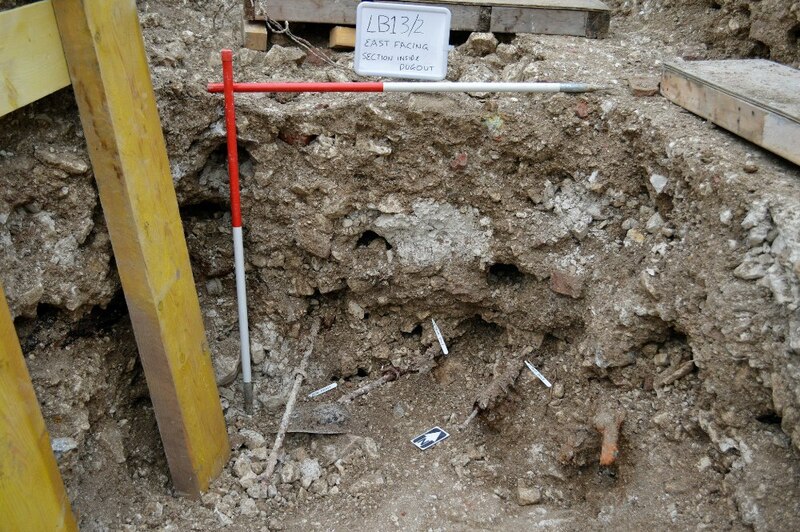 In July 2013, during the excavation of a pre-Christmas 1914 German trench located within the last surviving corner of the farm courtyard (the rest is now a mine crater-field), and an associated early 1915 communication trench dug by French troops, LBSG archaeologists uncovered the remains of a British soldier. Investigations revealed the presence of further human remains. 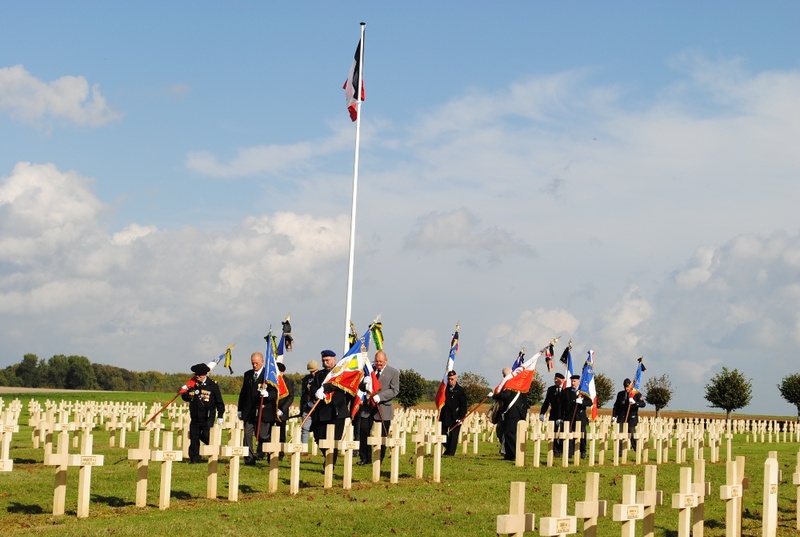 Following discussions with the British Ministry of Defence, the Commonwealth War Graves Commission (CWGC), the Direction Régionale des Affaires Culturelles (DRAC) and the Office Nationale des Anciens Combattants et Victimes (ONAC), and after an intensive fund-raising campaign, archaeological investigation recommenced at La Boisselle on 15 November 2013. The international LBSG team of volunteers comprised historians, archaeologists, genealogists, geophysicists, anthropologists, surveyors and conservators. A specially-designed shelter was constructed over the proposed work area. 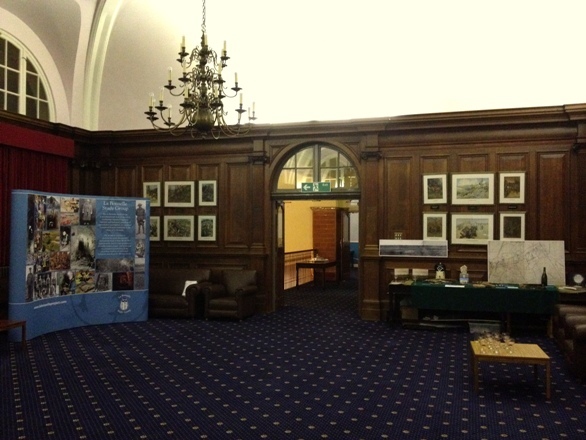 It comprised artefact processing, cleaning, and conservation areas with photographic station, and an anthropology section. 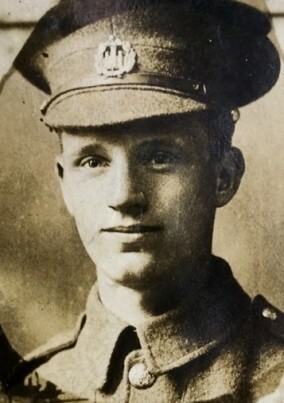 During the subsequent highly complex work amongst the debris of the farm stables, a second British soldier was found; nearby, the remains of seven French and German soldiers were also discovered. 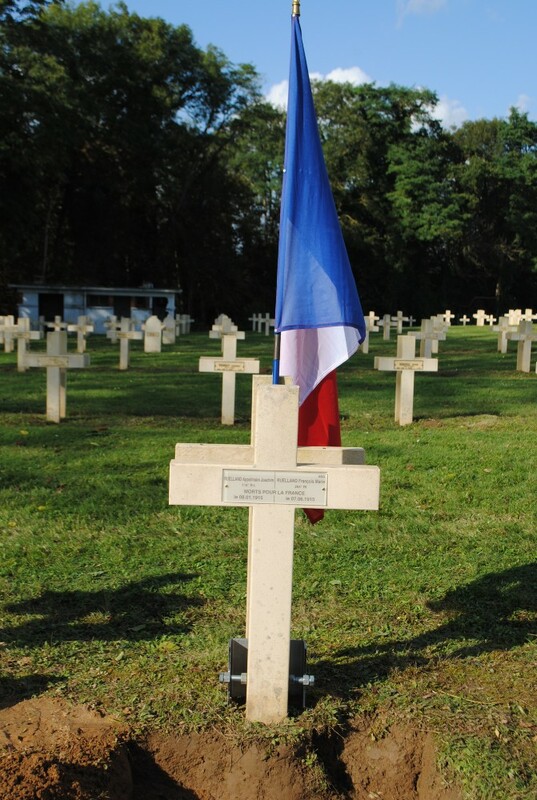 When the project terminated on 8 December, the French and German remains had been deposited with the ONAC in Bray-sur-Somme. 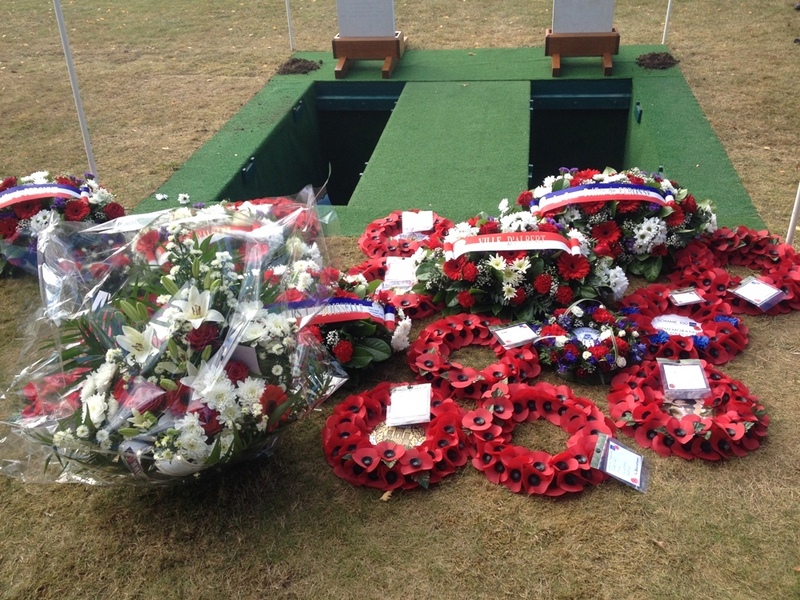 The Commonwealth War Graves Commission, acting on behalf of the Ministry of Defence in the UK, is holding both sets of British remains at its morgue in Beaurains, and the MoD are continuing their work to identify the casualties. 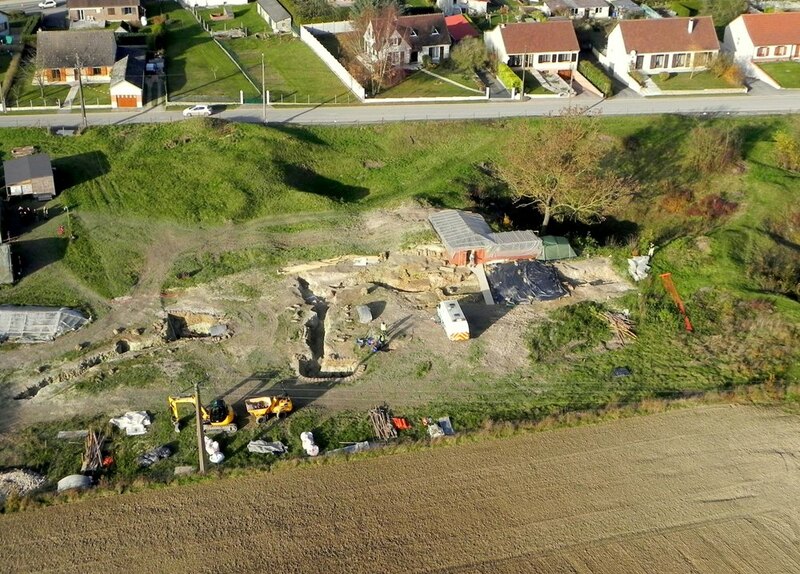 Pending decisions about the future of the Glory Hole site to be taken later this month by the newly-formed Association des Amis de l’Ilot de La Boisselle, the site has been backfilled to protect the archaeology. 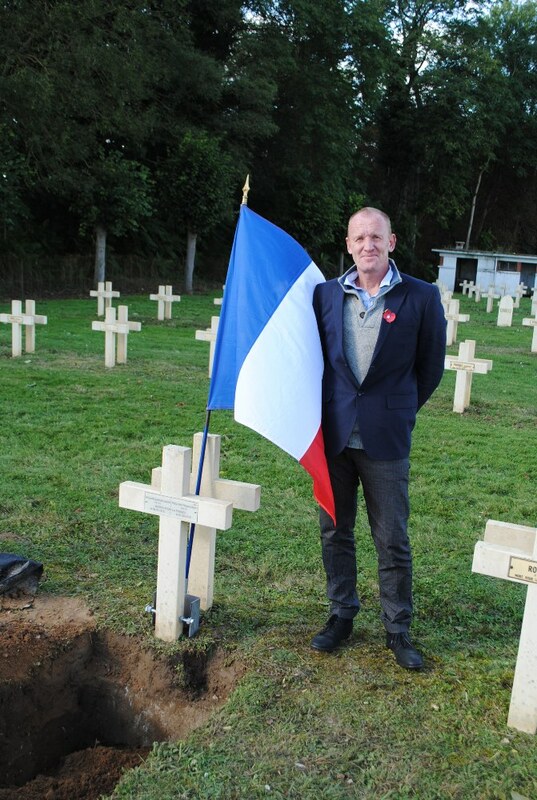 Bart Hettema, a reporter for the show ‘Een Vandaag’ returned to La Boisselle in early July to discover the work that had taken place since his last visit in October 2011. Much of the video is in Dutch but there is an extended interview with Peter Barton and unseen footage from the 80ft level of tunnels. The video can be viewed below. 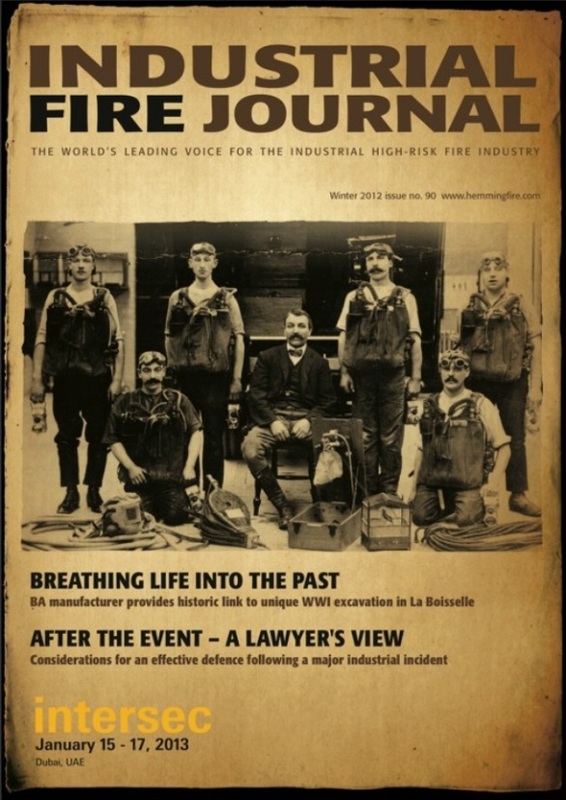 Recent press coverage of our work at La Boisselle includes an article in winter’s edition of Industrial Fire Journal. It includes an interview with Kevin James, international training coordinator for world-renowned breathing apparatus manufacturer and LBSG sponsor Siebe Gorman on his time training team members on site in October. There is also a summary of the work conducted thus far. The magazine is available to read online via this link HERE or by clicking on the front page below. The article runs from pages 40-42. A dedicated page on Siebe Gorman’s Proto breathing apparatus and the life-saving work of the specially trained rescue teams in the Great War will soon be added to our website. “Beneath the Glory Hole & Unearthing the Past”: Industrial Fire Journal Winter 2013. Please click the image to read the article. 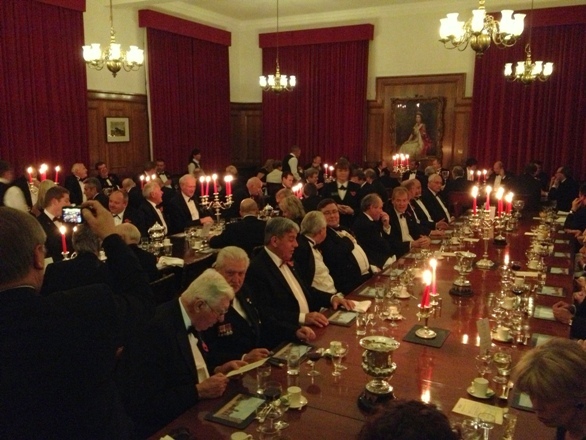 On Thursday 8 November ninety-one guests gathered for a fundraising black tie dinner at the Officer’s Mess, Royal Military Academy, Sandhurst. 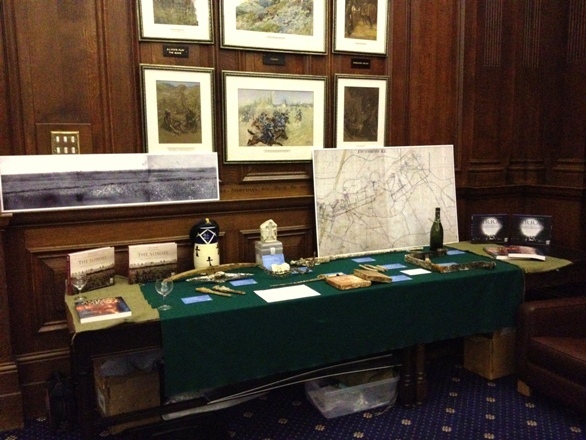 During pre-dinner drinks in an upstairs ante-room artefacts from this year’s archaeology were on display along with a selection of maps, plans and books. There was also a ‘pop-up’ display on show, designed by Paul Hewitt and generously donated and printed by George Prové at Newvale Print. After a brief introductory talk by Peter Barton and Jeremy Banning we went downstairs to be treated to a delicious three-course dinner. Full regimental mess protocol was observed with a Loyal Toast to Her Majesty The Queen, a toast to fallen comrades and a minute’s silence. 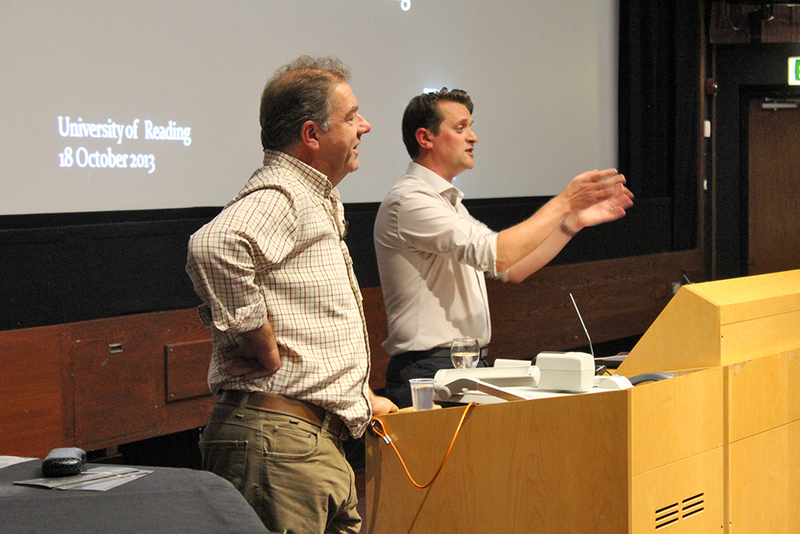 There followed an hour’s illustrated presentation by Peter Barton and Jeremy Banning on the history of the Glory Hole at La Boisselle, tunnel warfare on site and the ongoing archaeological work; it was followed by many questions. 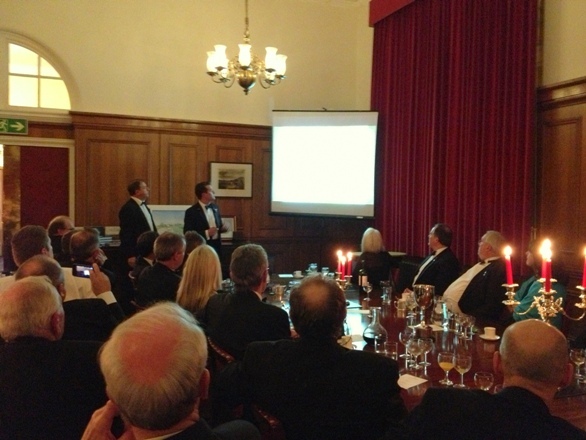 The evening ended with an auction which was very generously supported. 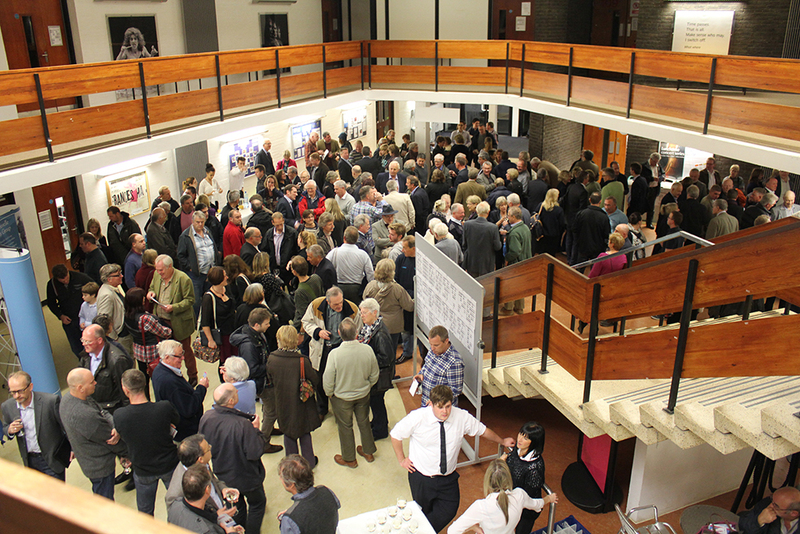 We would like to thank all of those who attended and made the evening such a memorable success. Our sincere thanks to the Commandant of Sandhurst, Major-General Timothy Evans, Giles Orpen-Smellie (The Sandhurst Foundation) and Paul McQuillan of Compass Group. We would like to express our gratitude to Richard Anderson (auctioneer extraordinaire), Rohit Tanna, Roy Murphy, Andrew Norton, Bill Gornall-King and Nick Mercer for their assistance in organising the evening and guests plus a million other kindnesses.